We had a cosy afternoon with the members of St. James Church in Woolton, who once again enjoyed my new stories from Sreepur. 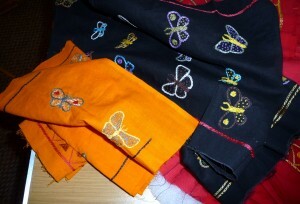 Also our hand embroidered shoe bags sold well. November started with a visit to Halifax EG Branch – and incident on the M62 meant the journey took over 4 hours, but we did get a warm welcome from a lovely Branch, and we met most interesting people. We raised over £500 for Sreepur funds. 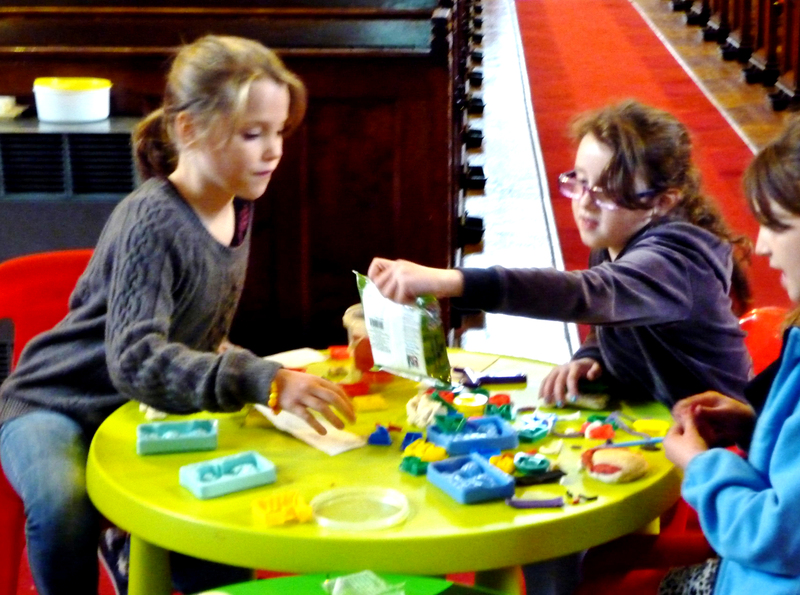 Padiham EG Branch was the next Talk we went to. Once again a lovely Group. 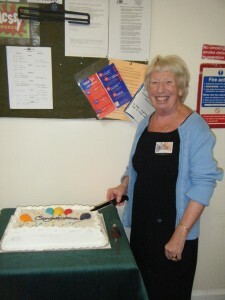 Val Coleshaw from the Bolton EG Branch joined us for the afternoon – she is always so supportive. 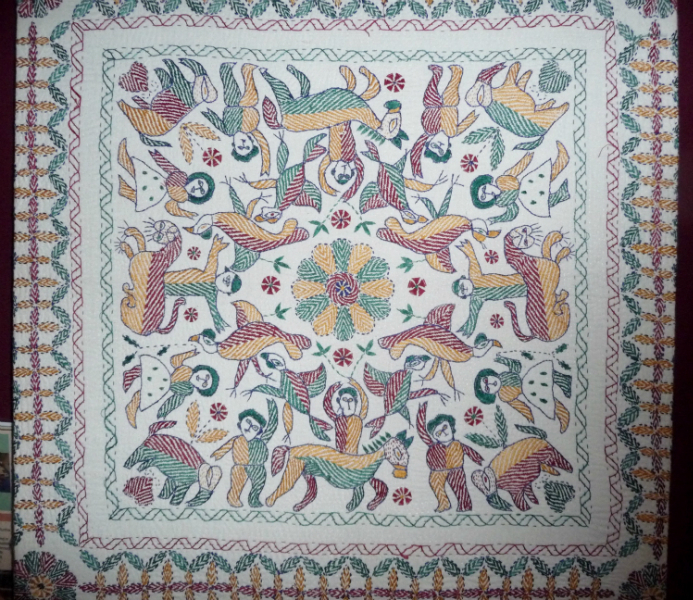 At Padiham they bought scarves, cards and other gifts, and enjoyed the information of how mothers learn so much about textiles and embroidery at Sreepur. We raised hundreds of £££’ s, everyone is so kind…..
On the 5th November I was invited once again to Princes Primary School for Children with Special Needs, also some of the children from Smithdown Primary School spent the morning with us. I showed them a short film “A Day at Sreepur”. They were so good, and they dressed in the traditional dress from Bangladesh of saris and punjabis. I have a large collection which I take into schools. 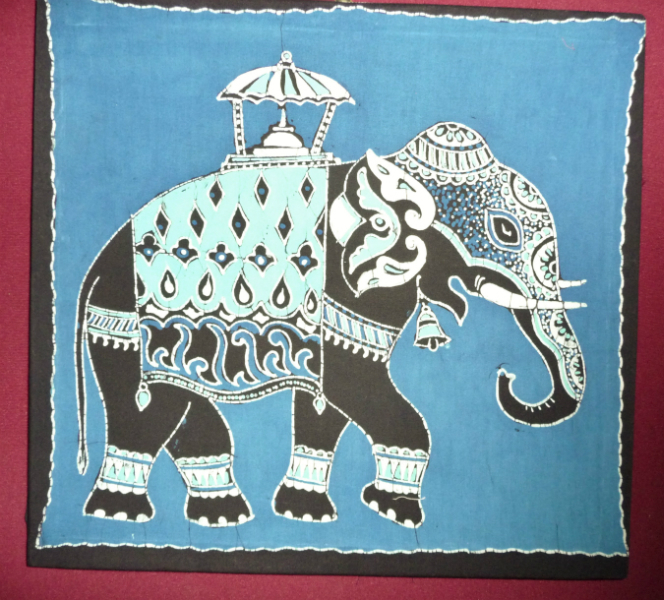 The children are making me a large elephant hanging to take to Sreepur. I do enjoy my school visits. The same week we had another invitation to the Health & Safety Executive Head Office in Bootle for a lunch-time sale. 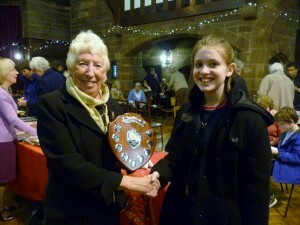 We have raised over £1000 at this event during the last few years. The staff are so good, and do their Christmas shopping there. I was asked to give the Eleanor Rathbone Lecture at the Adelphi Hotelfor the 1918 Club this year. 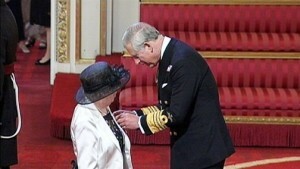 I did feel honoured and priviligd to have been invited, and met most interesting members. 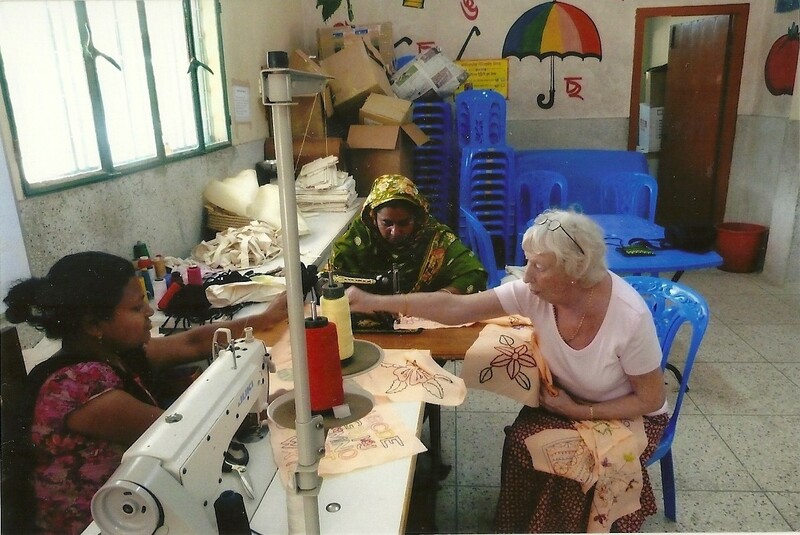 They enjoyed learning about what life is like for women in Bangladesh, and how Sreepur helps not only the destitute women who live with us, but the 70 women from the local villages who we give work to. 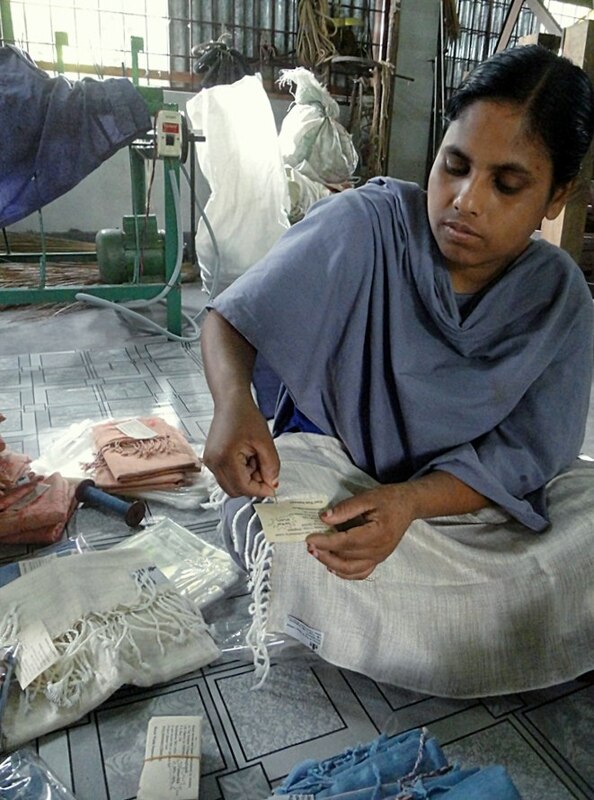 These women do embroidery and card making etc, which gives them an income and keeps them out of the garment factories. 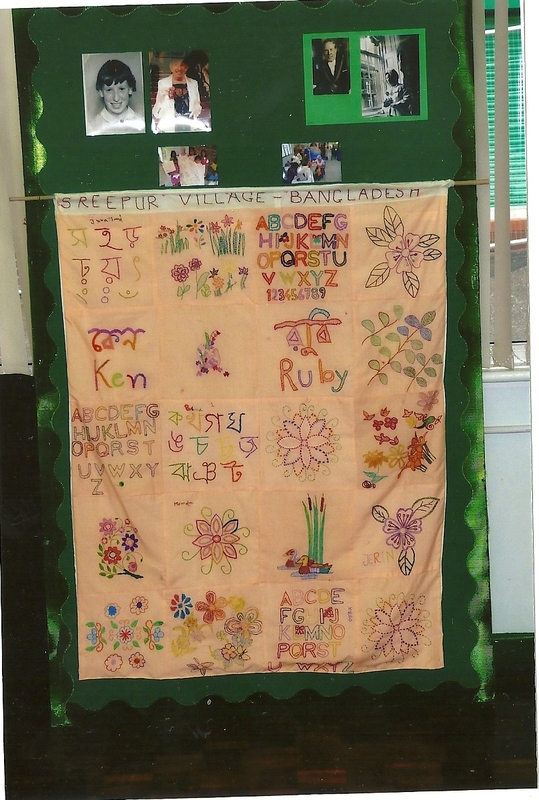 We raised over £500 for Sreepur. Merseyside EG Christmas Party was a lovely afternoon. It is always enjoyable, with good food and good company. 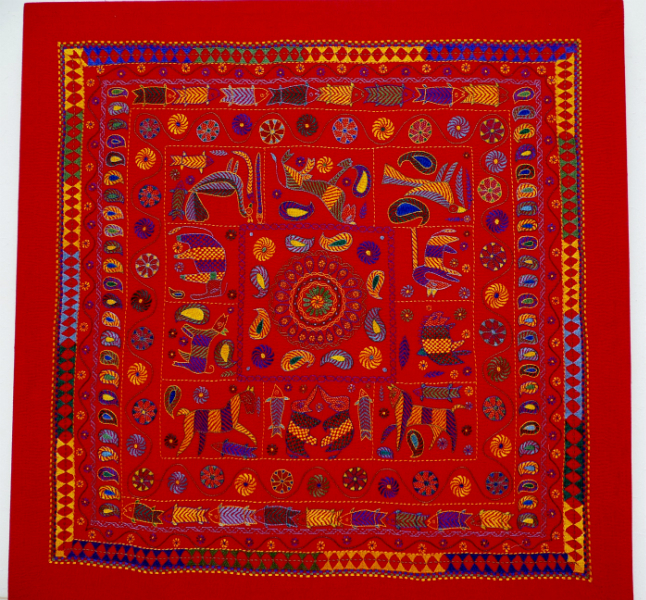 Everyone supports Sreepur by buying cards and scarves – such lovely friends i have made during the 30-odd years I have been a member. 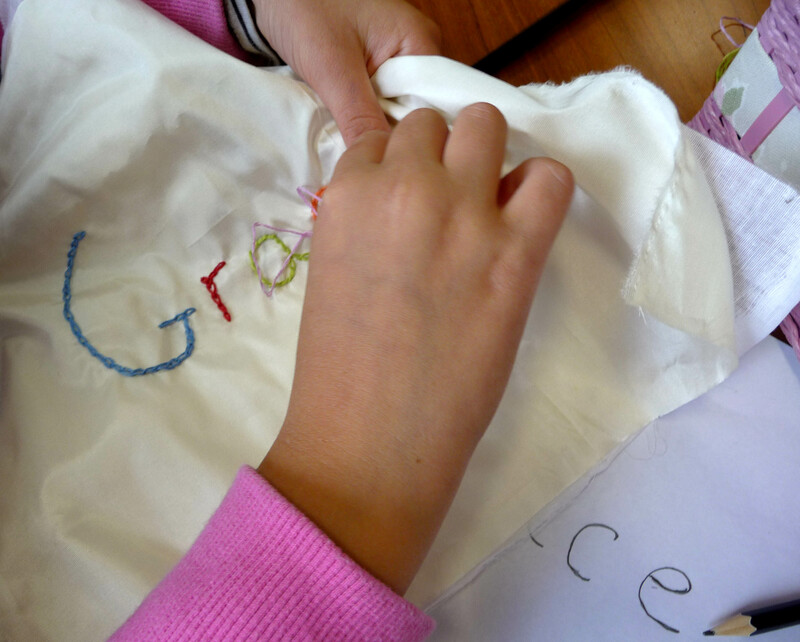 It was good to see the Young Embroiderers there. 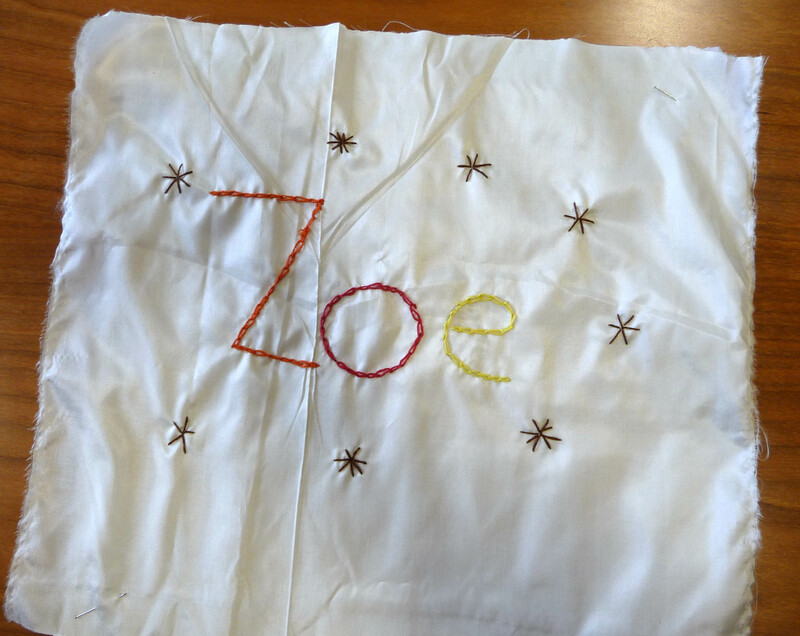 The Sreepur Shield for Young Embroiderer of the Year was won by a lovely young girl, who worked so hard with her embroidery. 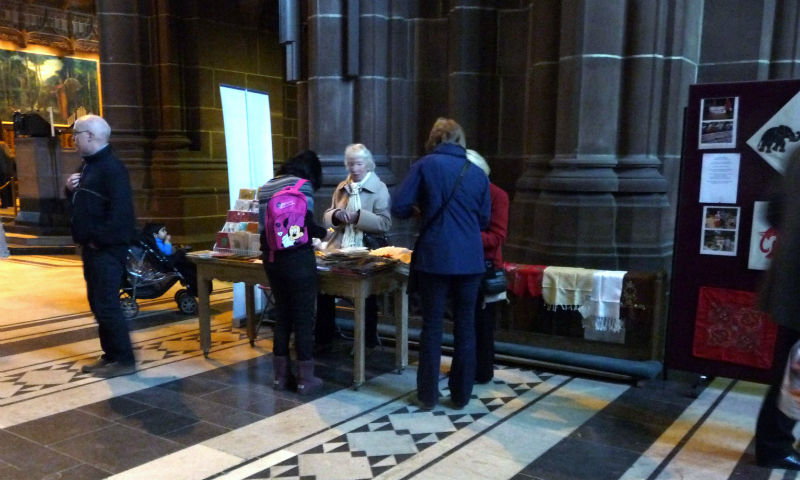 The next day I was at All Saints Church, Childwall and sold Sreepur scarves etc at their Christmas Fair. Next evening took us to Widnes and another Church, who enjoyed my stories and did their Christmas shopping to boost the Sreepur funds. 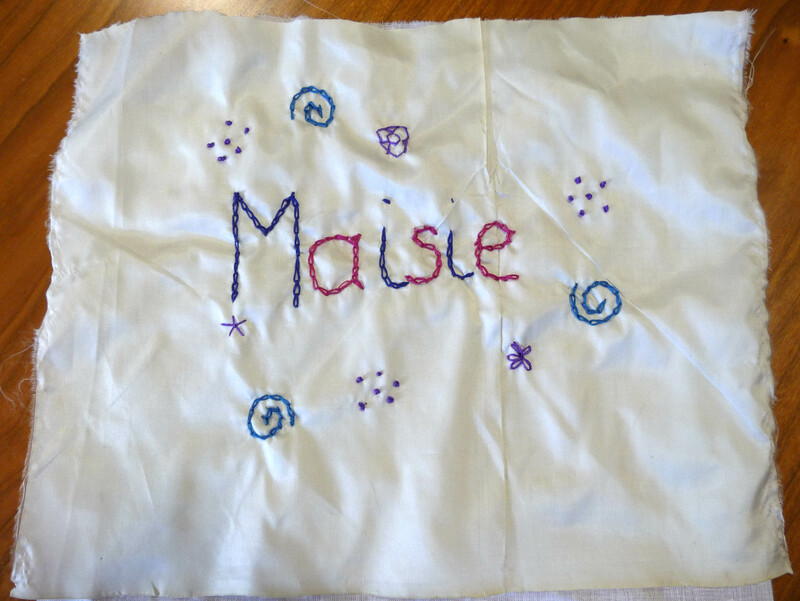 On 12th December we were back in Liverpool Town Hall with the “Threading Dreams” exhibition. 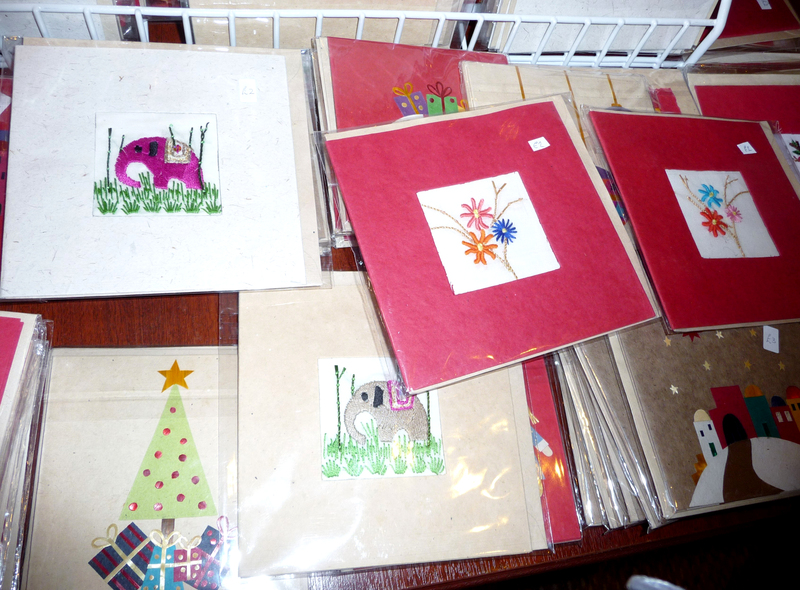 It is from 10 am – 10pm, a very long day and a wonderful Christmas event. 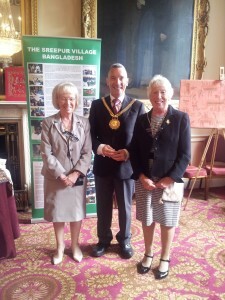 The Lord Mayor was once again so supportive of my work in Bangladesh. 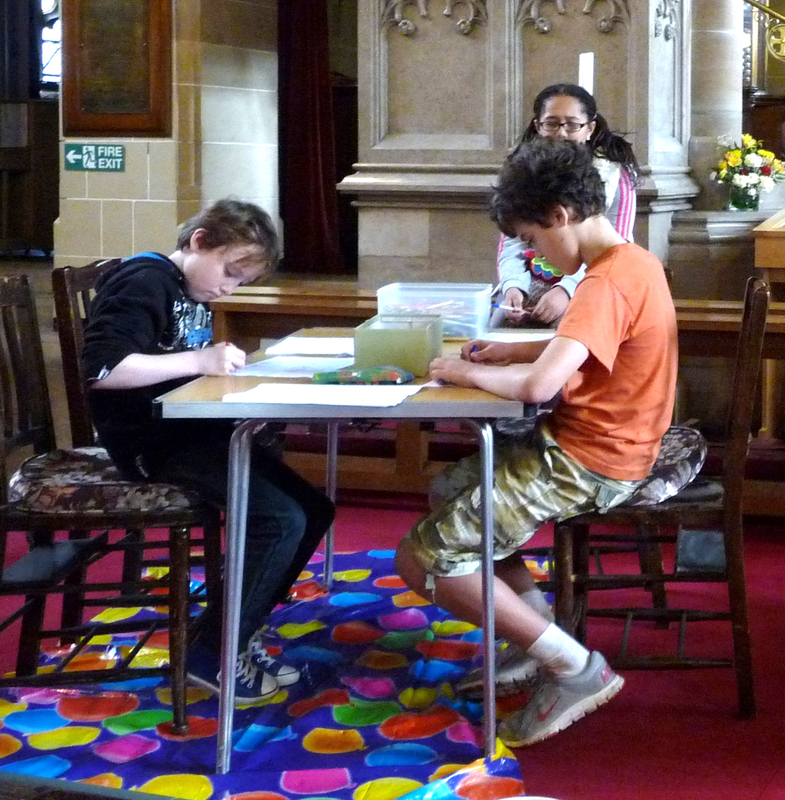 We have raised over £1000 in Liverpool Town Hall this year with different events…the staff are wonderful…. 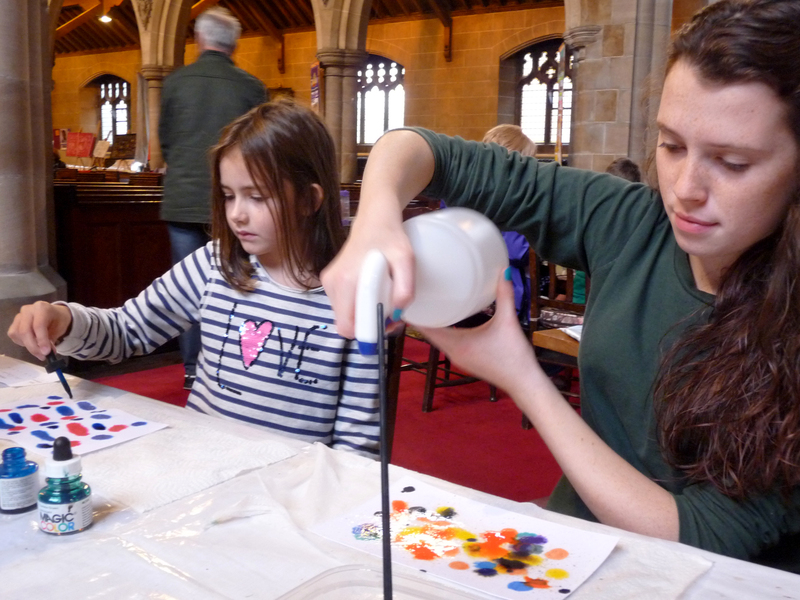 The last event of the year was at St Austins Church, Grassendale – I was invited to the Carol Service and we raised £100 at the wine and mince pie event in the Hall afterwards. How kind people are. The Sreepur Draw was held on 30th December 2013. 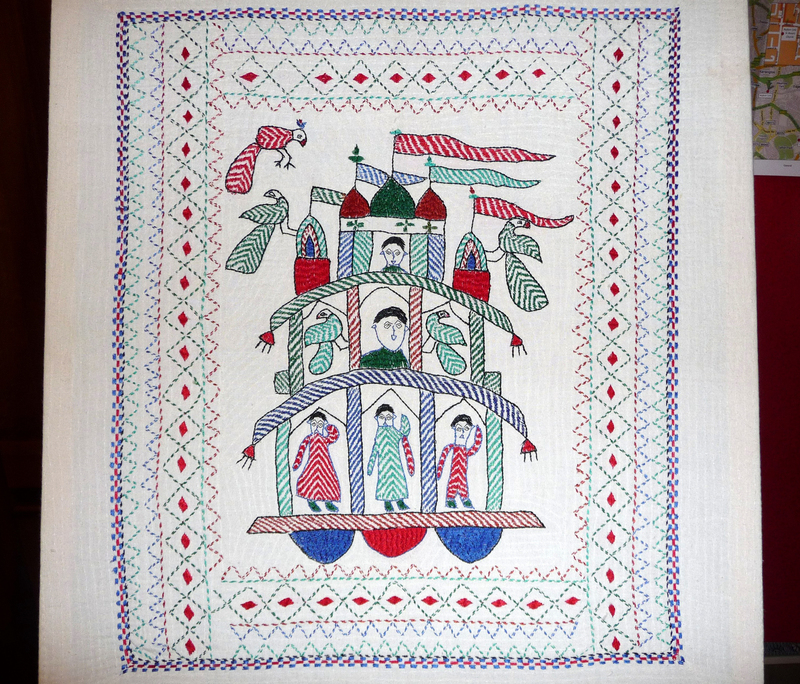 Thank you to all who did the embroidery on silk squares and supported Sreepur by buying the raffle tickets. 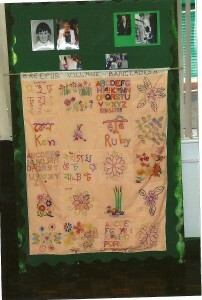 We raised £700 for Sreepur funds. families from the Bangladeshi community in the city. 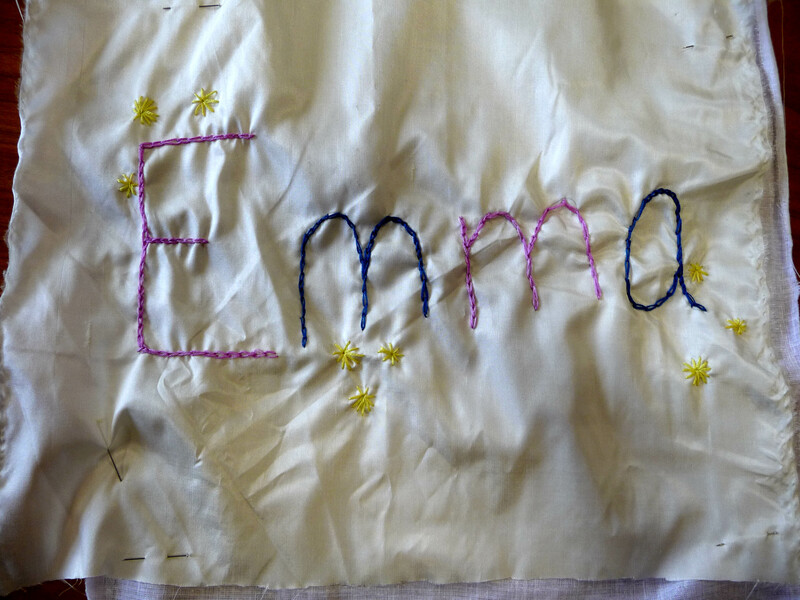 Hilary visited the “Threading Dreams” exhibition on Wednesday 23rd Oct, which was also a craft afternoon for children, and here are some of the interesting things she saw there. 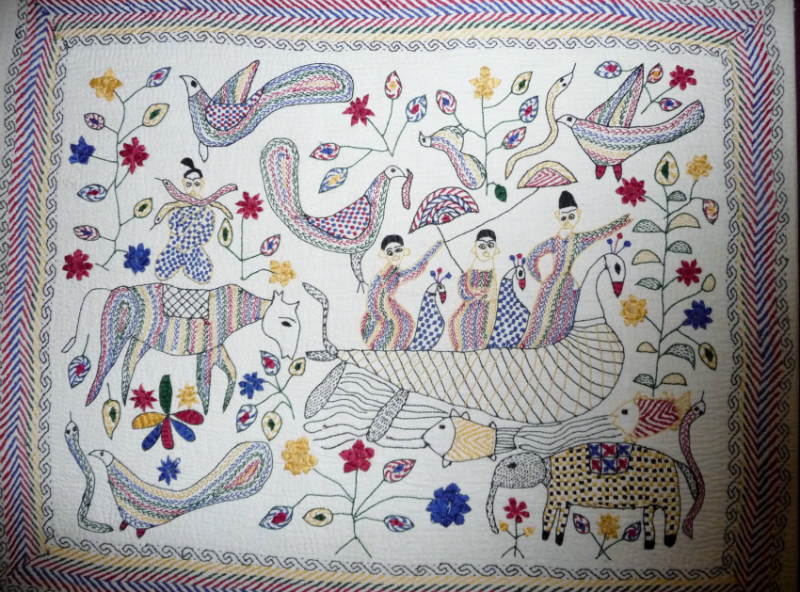 There was a wonderful display of kantha embroidery, all hand embroidered by the women in Sreepur. 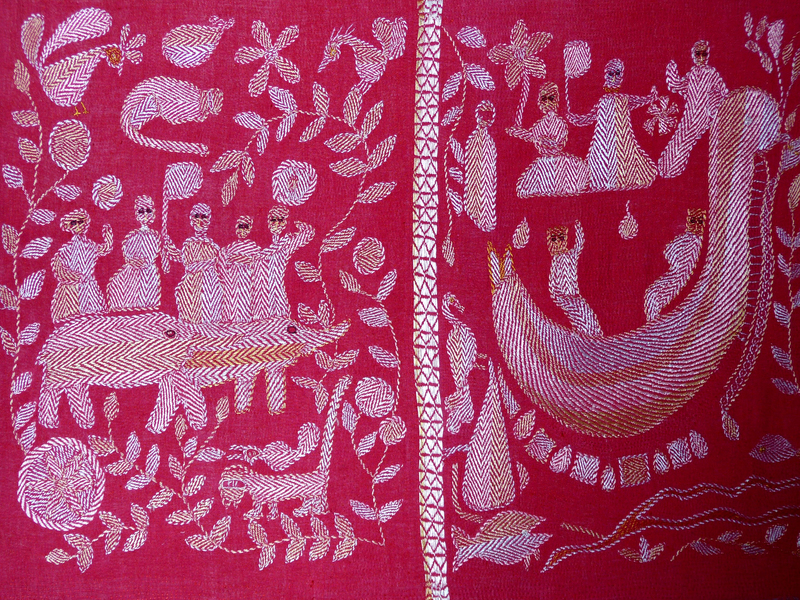 This is very fine embroidery traditionally worked on top of layers of worn out saris, using lines of tiny running stitches to form patterns in thread. 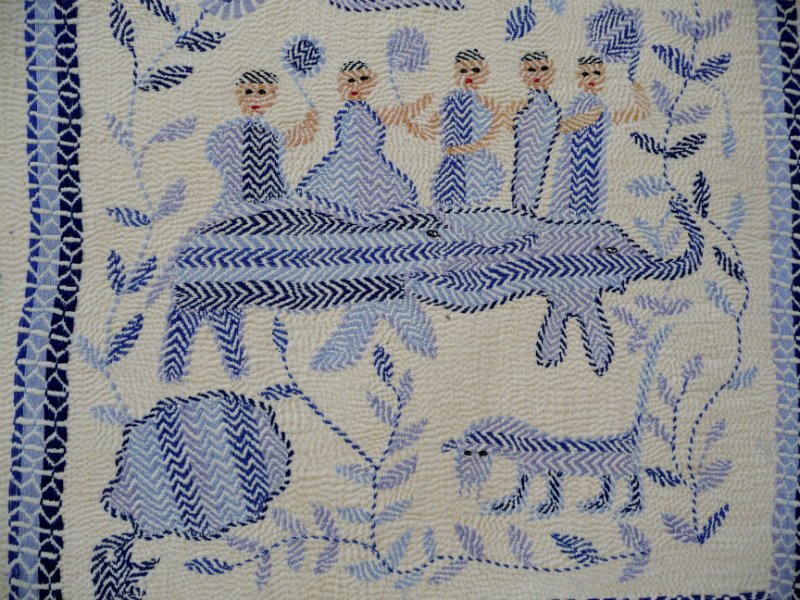 I have taken photos of only a few of the embroideries on display, though they were all inspiring. 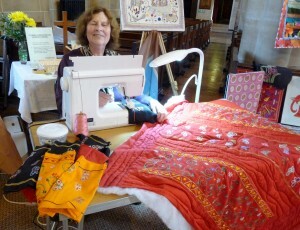 Ruby Porter MBE and her sister Kathy Green were there, and also Norma Heron, a member of Merseyside Embroiderers’ Guild. 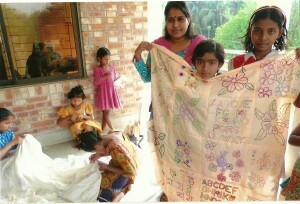 She was busily making a quilt from some strips of fabric hand embroidered in Sreepur Women’s Refuge. 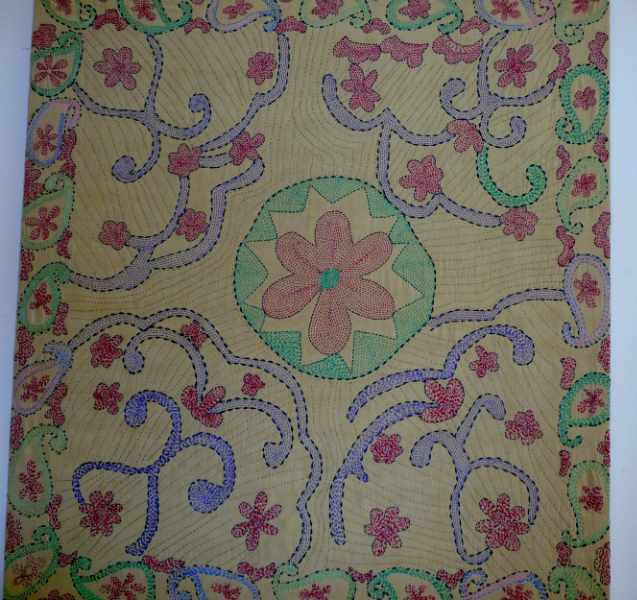 This quilt will be raffled or sold at a later date to raise more much needed funds. 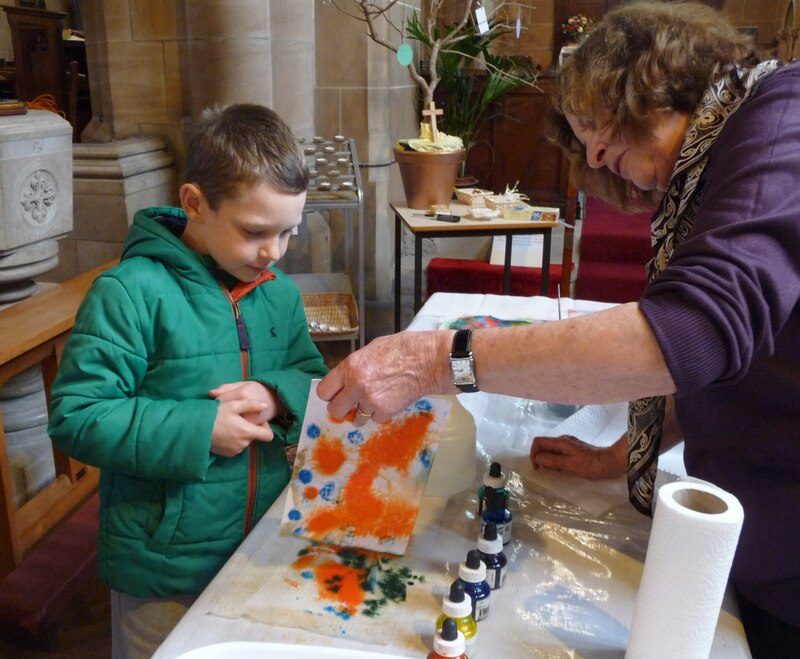 As it is half term this week St. Barnabus Church held a children’s Craft Afternoon to coincide with the “Threading Dreams” exhibition. 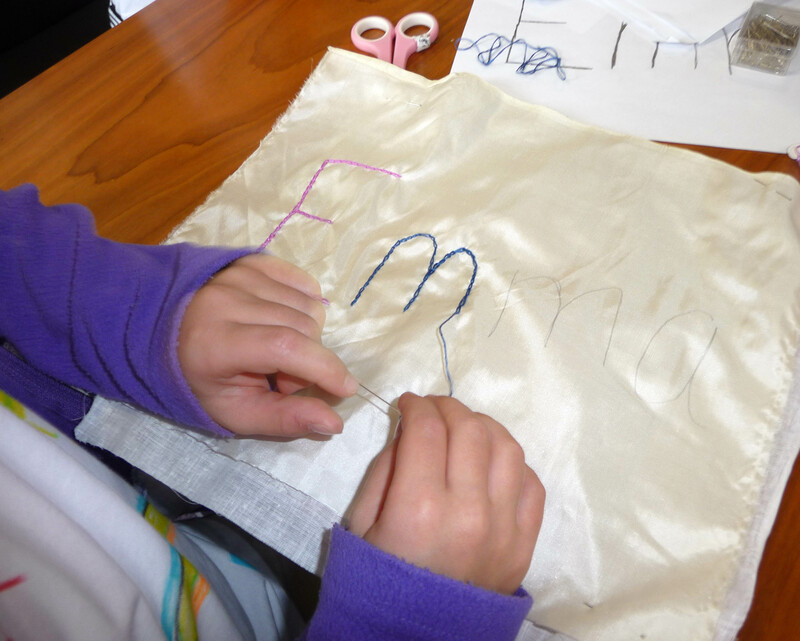 There were quite a number of children present, enjoying the wide variety of craft activities provided. 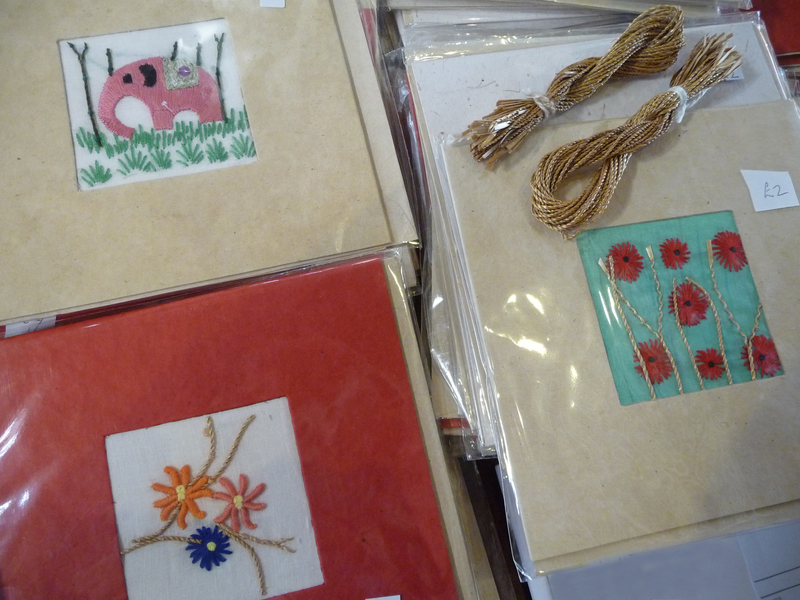 Ruby has her new designs in embroidered postcards for sale, and also some embroidered cards featuring wheat straw thread. 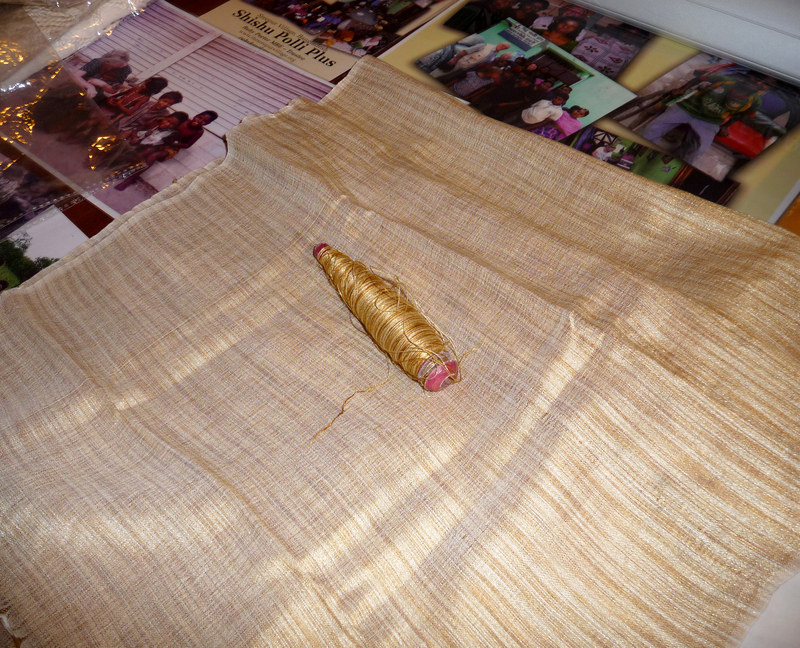 This is spun in Sreepur and is used as embroidery thread whenever a gold thread is required. 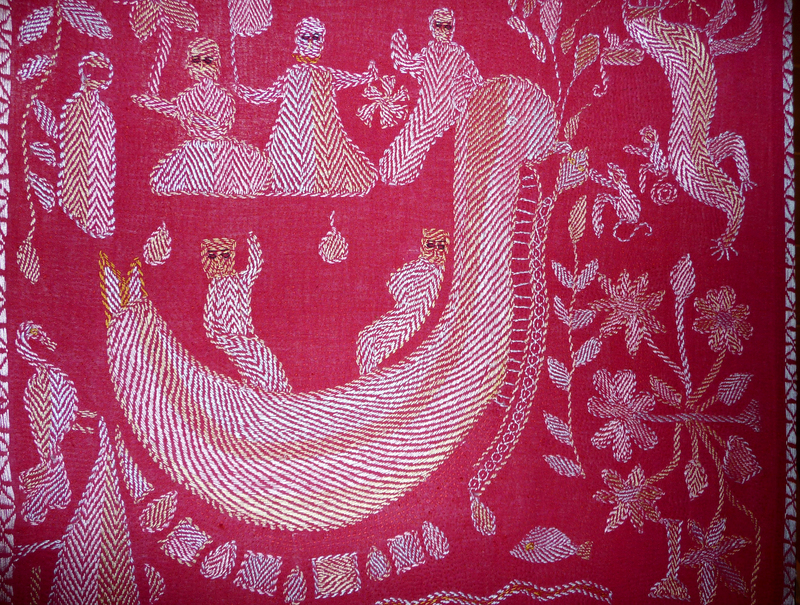 It is known as “poor man’s gold”, and has been used in the past on Church embroideries. 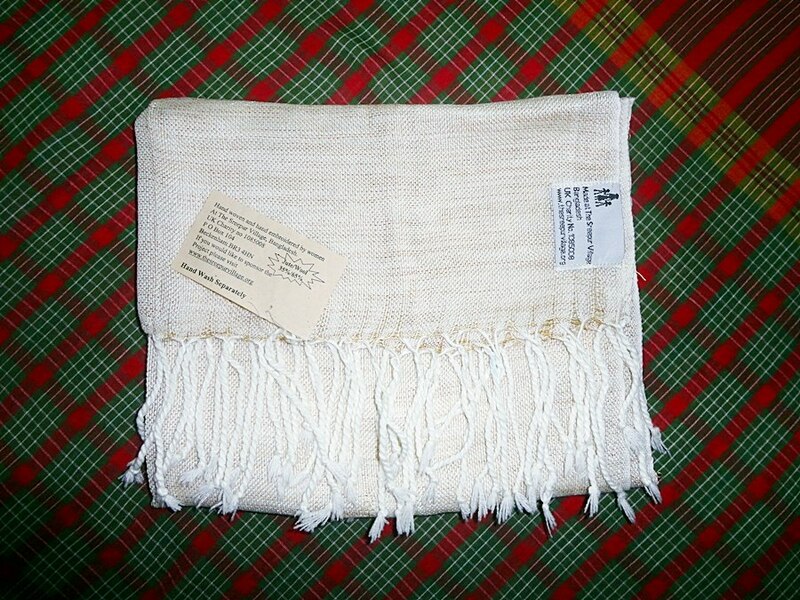 She also has a wonderful range of scarves for sale, some woven from the finest jute thread, and a range of cotton/silk mix scarves dyed with natural dyes, such as charcoal and tea. These scarves are embroidered by a team of 70 mothers who live in villages with their families. 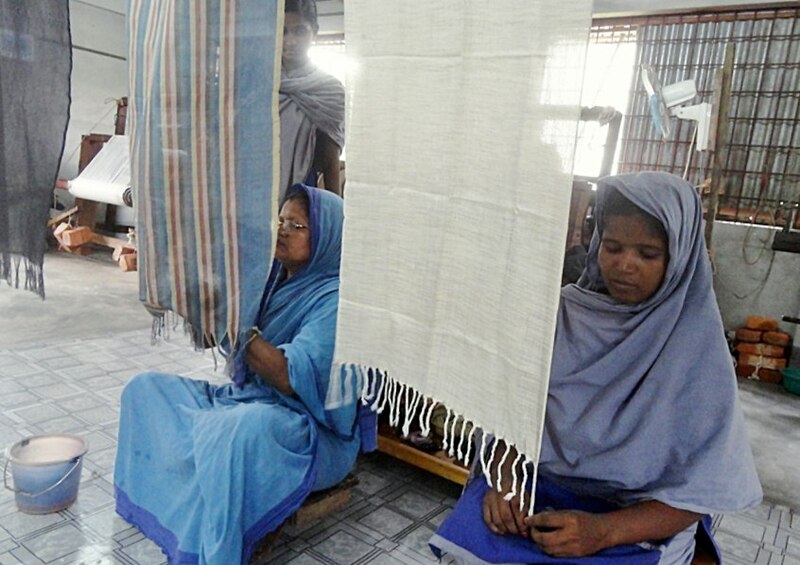 These women are called Producers, and they take a batch of 10 scarves at a time to embroider. 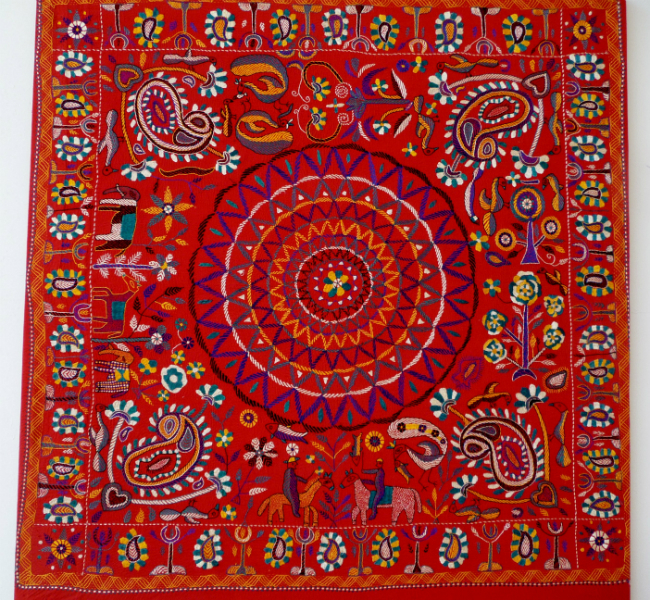 They are paid at the equivilant rate of 60 pence per scarf, which enables these mothers to remain at home with their families and not have to work in the garment factories, as well as raising their standard of living. NEW DESIGNS- more news form Ruby . 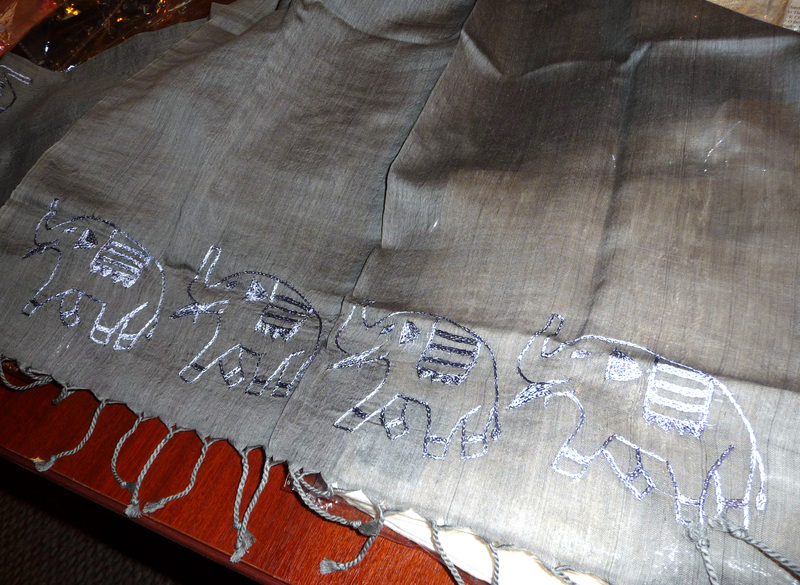 She has sent us some photos of the latest design Sreepur scarf being woven in Bangladesh. 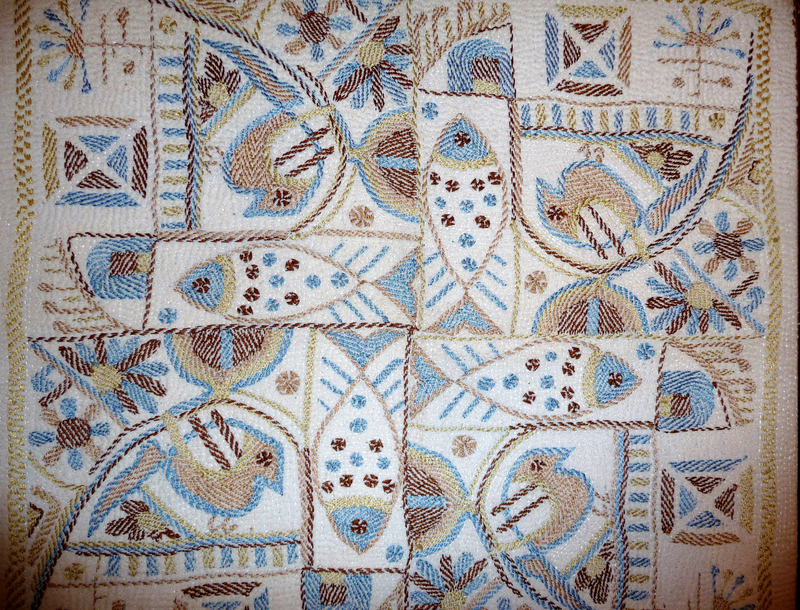 They are woven from a wool and jute mix, and seem to be really cuddly for winter. Message from Ruby Porter MBE :- I have had a very busy few months with my Threading Exhibitions and talks – met the most wonderful people all supporting Sreepur, and interested to know all about the Merseyside Embroiderers Guild. 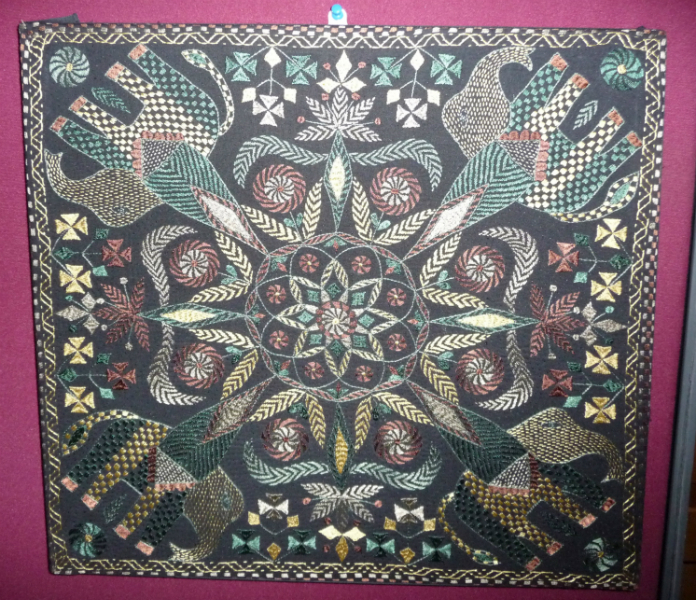 I was invited to The Widnes Soroptomist by Paula Fox ( who is a quilter), they had an Asian evening arranged for my visit, lots of the members wore saris and a the curry supper was excellent. 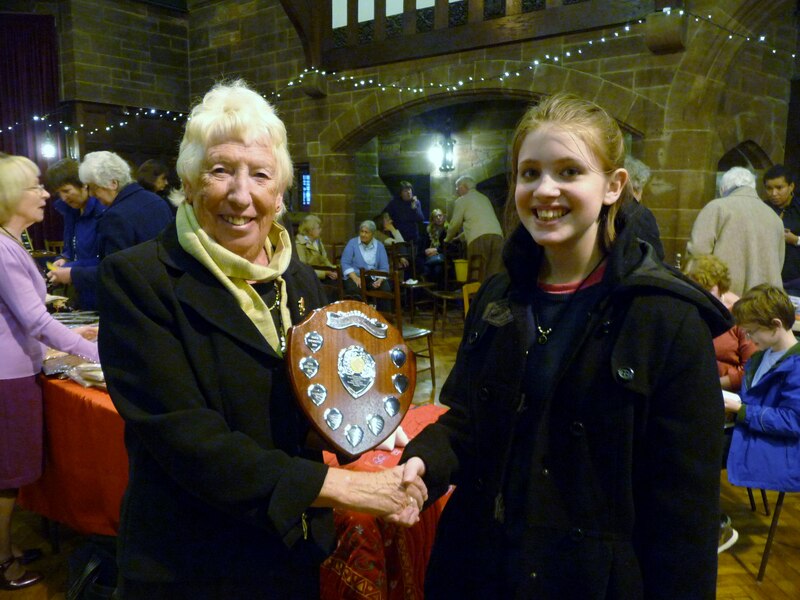 Our daughter Janette, who is now an adviser to the Trustees for Sreepur together with her friend Jill, organised a family quiz night at St Anthony’s Padua Hall, Liverpool. The hall was donated free and we all had a wonderful evening with lots of children, Mums, Dads, Nans, Granddads, Aunts, Uncles and friends. I told them my story of Sreepur and life in Bangladesh and they all brought food to share. 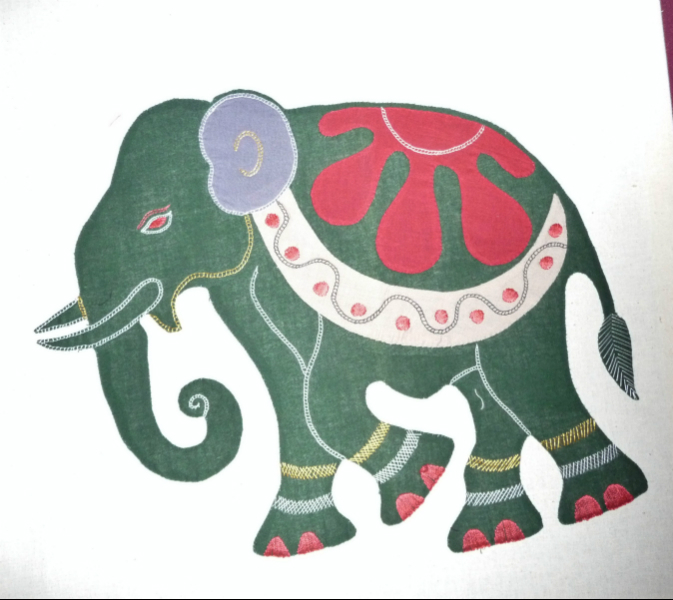 We had craft tables for the children and they sewed a big elephant ( sundor lal hatti) – a beautiful red elephant in Bangla for me to take to Bangladesh. The adults enjoyed the quiz with donated prizes, we raised over £1000 for a new brick built weaving hut to replace an old tin hut for the village – amazing ! 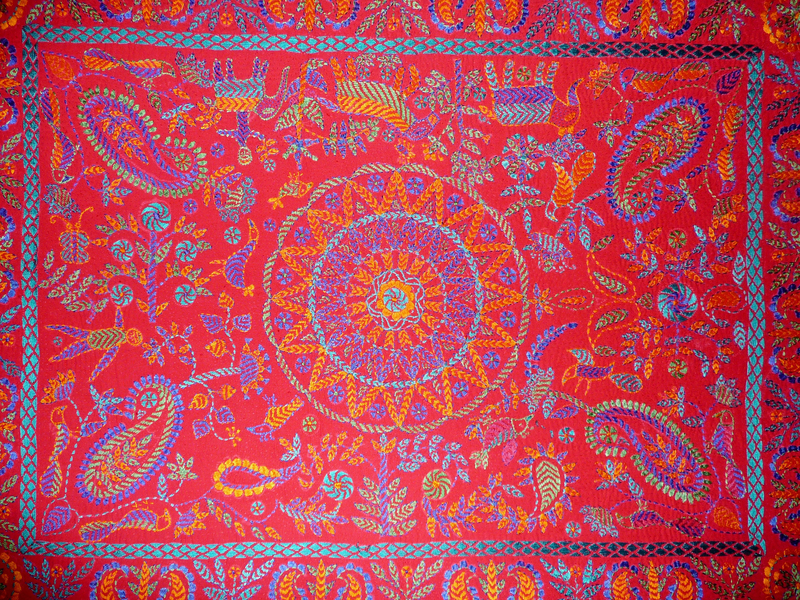 A sunny Saturday in September I spent at the Peace Day Event in Wallasey Library selling our Sreepur cards, gifts and draw tickets for the Sreepur/ Merseyside silk quilt. Lovely people. Blackburn House had a Macmillan Coffee morning and I had a stall. The jazz band played – my sister Kathy and I felt like dancing to the music – brilliant event,we sold the Sreepur scarves etc. 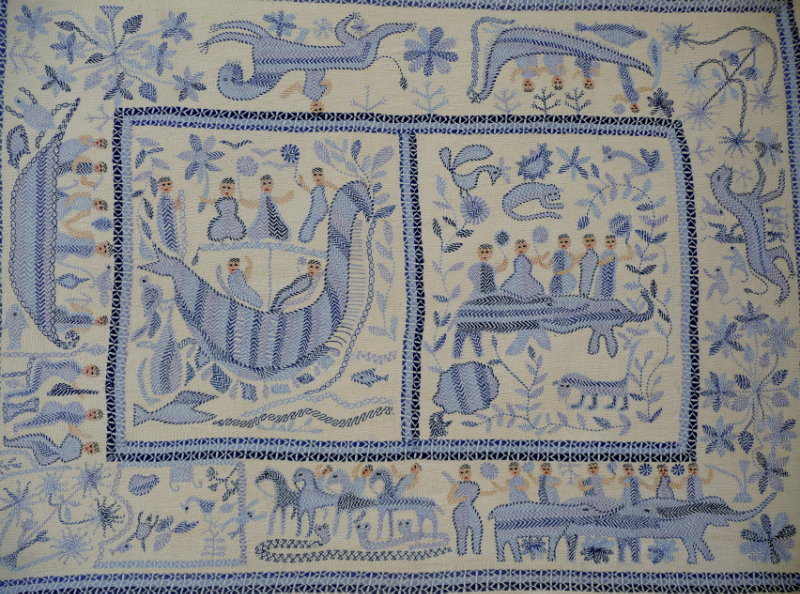 The following day I went off the Warrington Craft Guild to hold a Kantha Day. 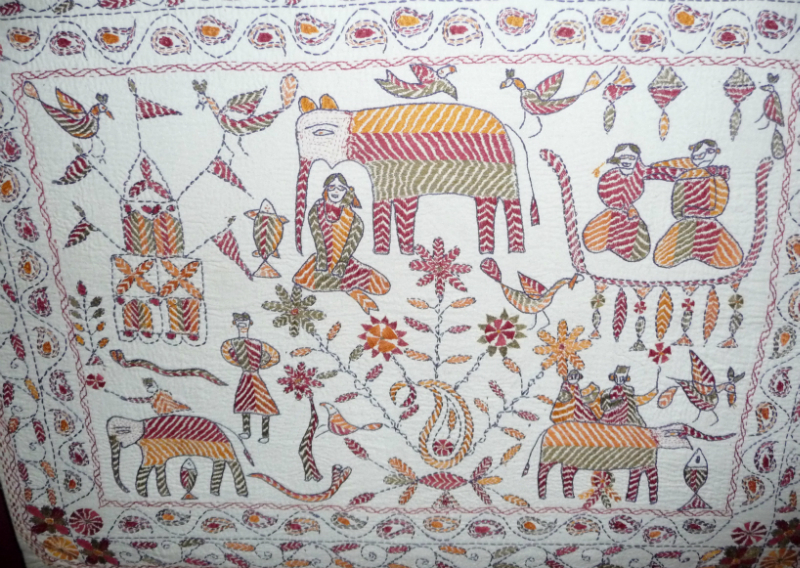 It was excellent and they all enjoyed the day creating a Kantha embroidery and learning the history of this beautiful work. The start of October back up to Aberdeen South Branch of the Guild. They invite me often to be with them all. 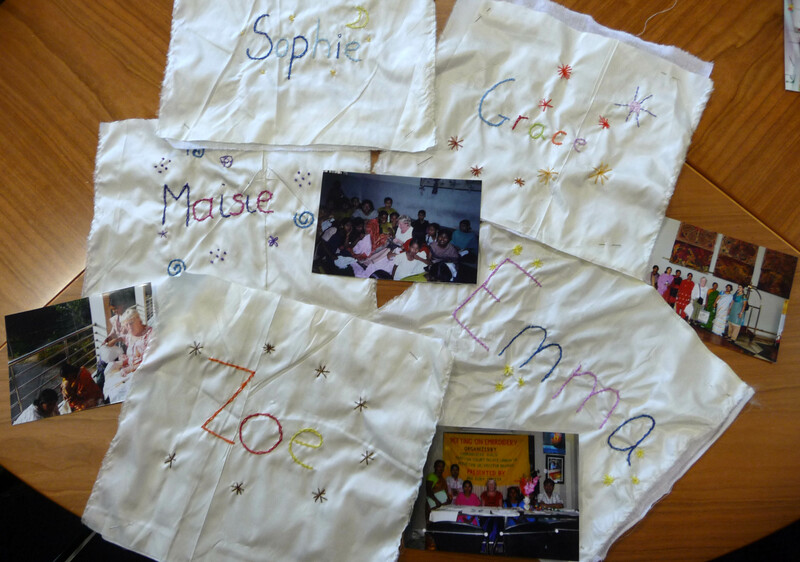 We had a Kantha day with 20 members in the morning, and the children in the afternoon. 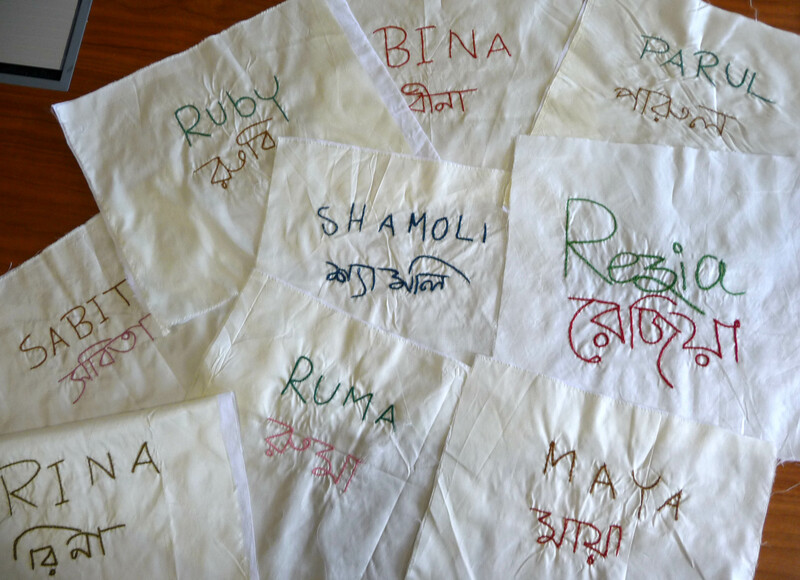 The children made a signature quilt with the Bangladeshi silk squares. 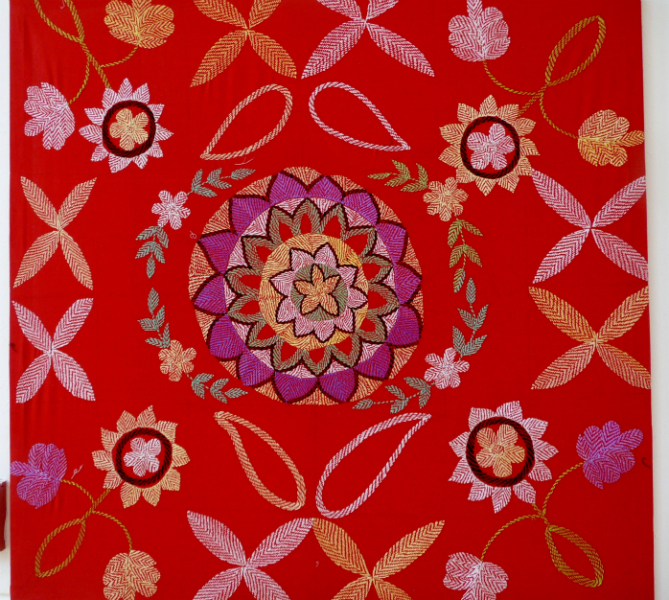 We hope to have it on exhibition for the 40 Anniversary of the Young Embroiderers Guild in 2014. On 11th October Ken, Janette and I went to a Sreepur fund raising dinner at The House of Commons. Excellent! What more can I say! We had a tour of the House of Lords and the House of Commons. This event may raise £20000.00 for the mothers and children at Sreepur. Jim Fitzpatrick MP, our Patron, with his wife Dr. Sheila Fitzpatrick, one of the Trustees, arranged this very special evening. A trustees meeting the next morning. 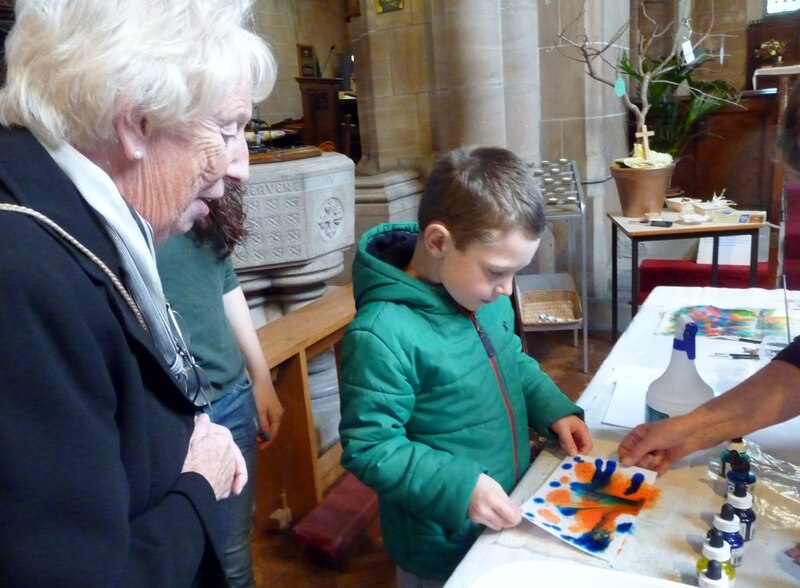 While I was in London Kathy, my sister, spent a lovely day with all our friends at St Barnabus Church, Penny Lane, Liverpool, with the Sreepur stall. 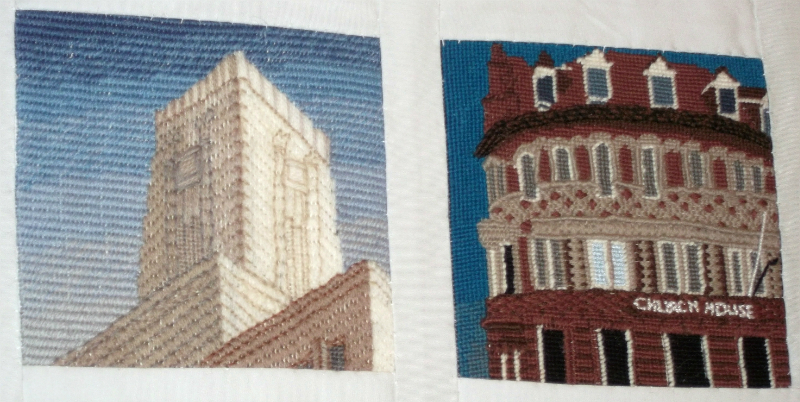 Bolton was the venue for my talk on Tuesday this week. They invite me often and never seem to tire from listening to my stories of the life in Bangladesh.They loved our combined Sreepur and Merseyside quilts. 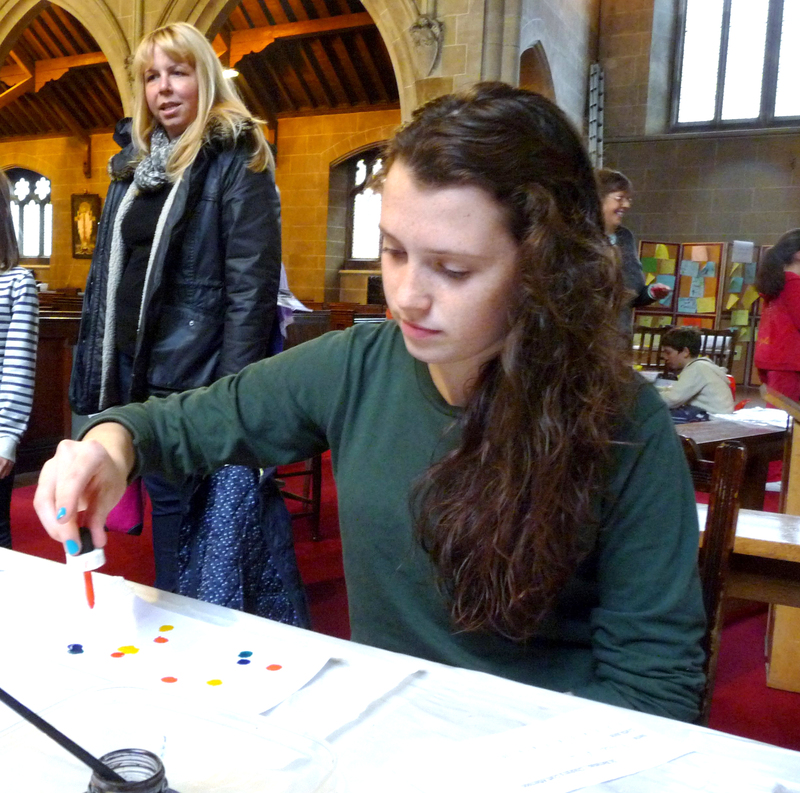 Also this week I went to talk to some lovely people at County Road Methodist Church, Liverpool. I make an annual visit and have done so for about 10 years. They did their Christmas shopping and I think Ken and I are made very welcome. Over all these events, which I have enjoyed so much, Ken, Kathy and I have raised over £5000.00 for our mothers and children How kind of all those people. 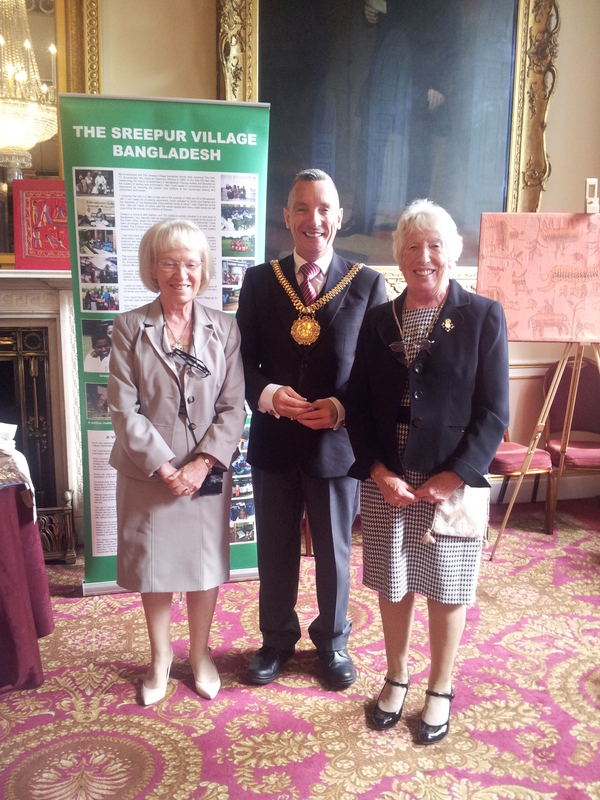 September 2013 PHOTOGRAPH of Lord Mayor of Liverpool Gary Miller taken at the recent Sreepur Embroidery exhibition in Liverpool Town Hall, which raised £1400. 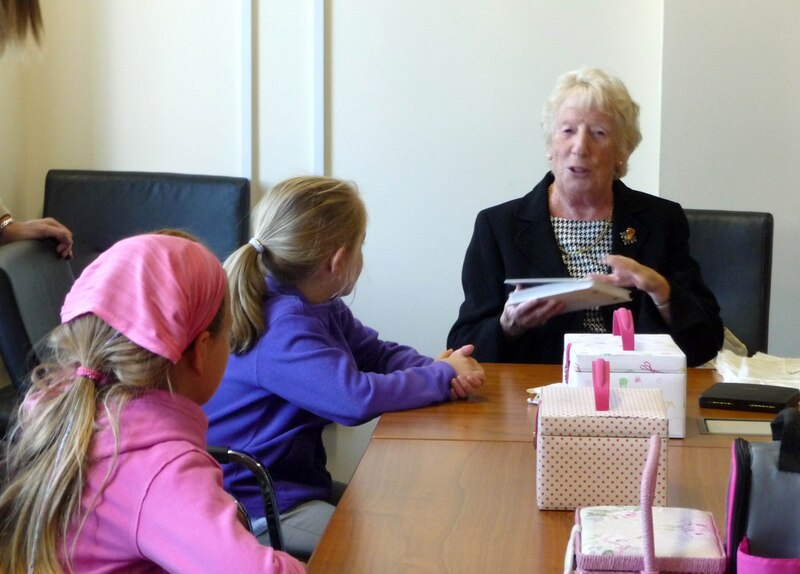 The Lord Mayor is pictured with Ruby Porter MBE and her sister Kathy Green. 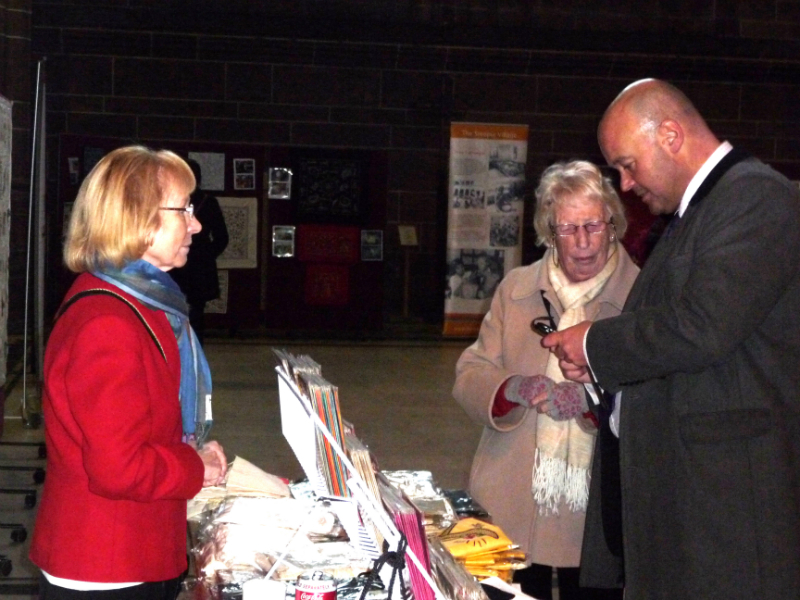 Next date for your calendar is 12th December from 10am – 10pm in Liverpool Town Hall. 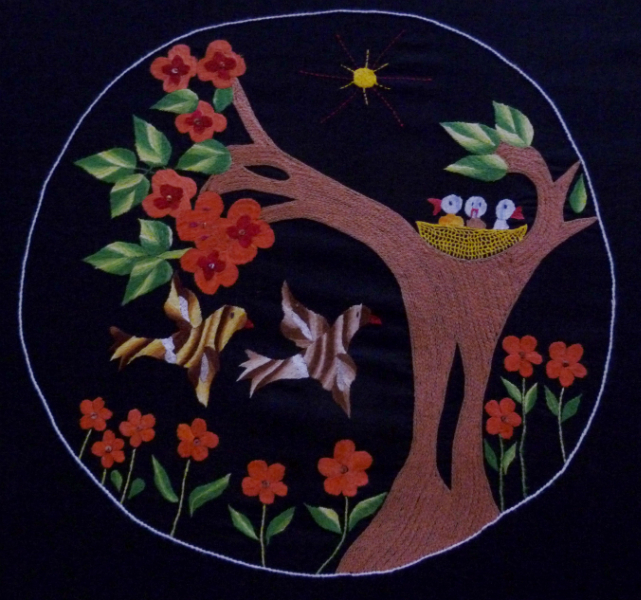 Ruby will be present with the Sreepur stall and also the Sreepur Embroidery Exhibition. Everyone welcome! 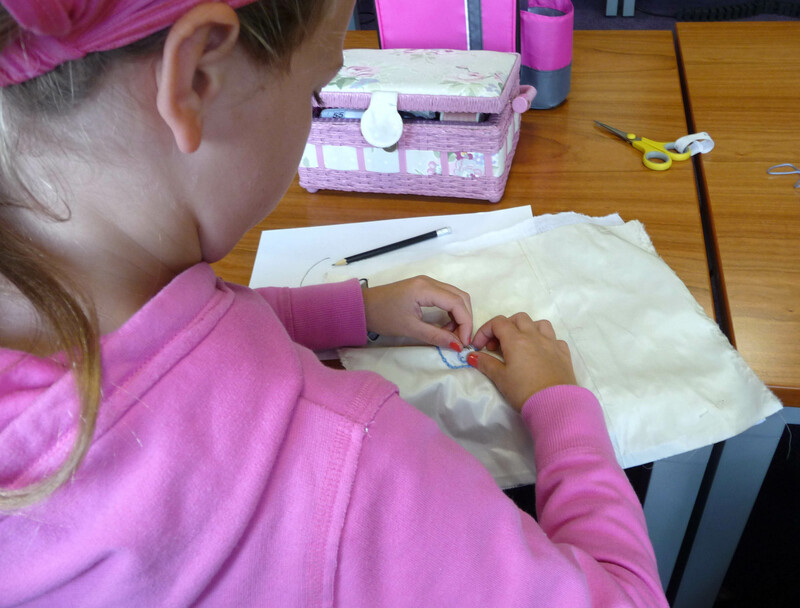 September 2013 RUBY PORTER MBE visited Merseyside Young Embroiderers. June 2013 NEWS from Ruby Porter MBE. Have a look at the latest Contact magazine. 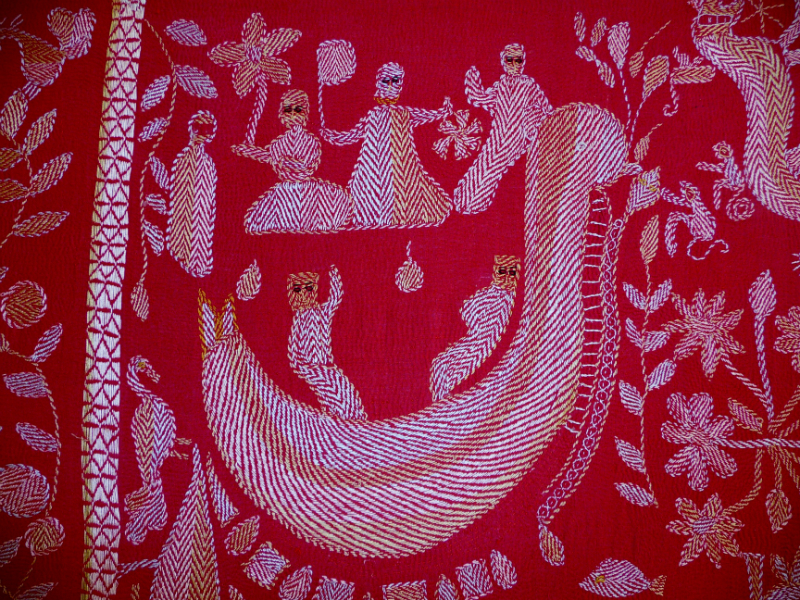 “Around the Branches” features Isle of Man E.G. 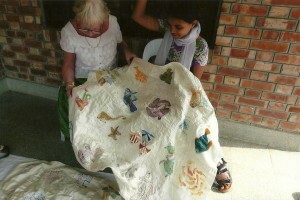 Branch, who held a workshop which also supported The Sreepur Village Charity. 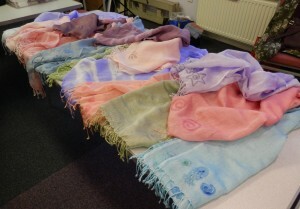 They decorated scarves made by the women in Bangladesh, and raised £275 for Sreepur at the same time. Ruby has visited Altringham E.G. Branch this week and had a lovely time there. They asked if they could help to embroider squares for the latest Sreepur Silk Flower Quilt, which will later be raffled to raise more much-needed funds. So now Sreepur, Merseyside and Altringham are now involved. Excellent! 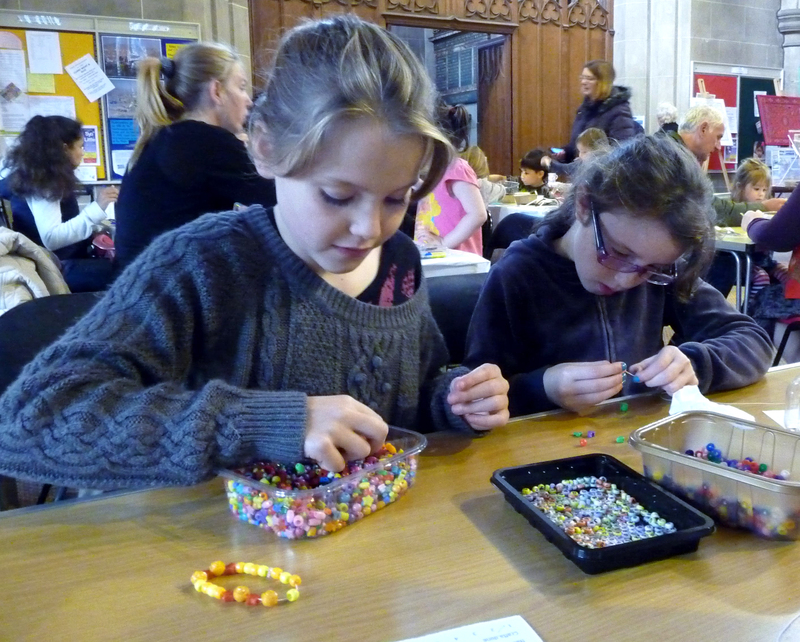 Also another £400 raised for Sreepur. 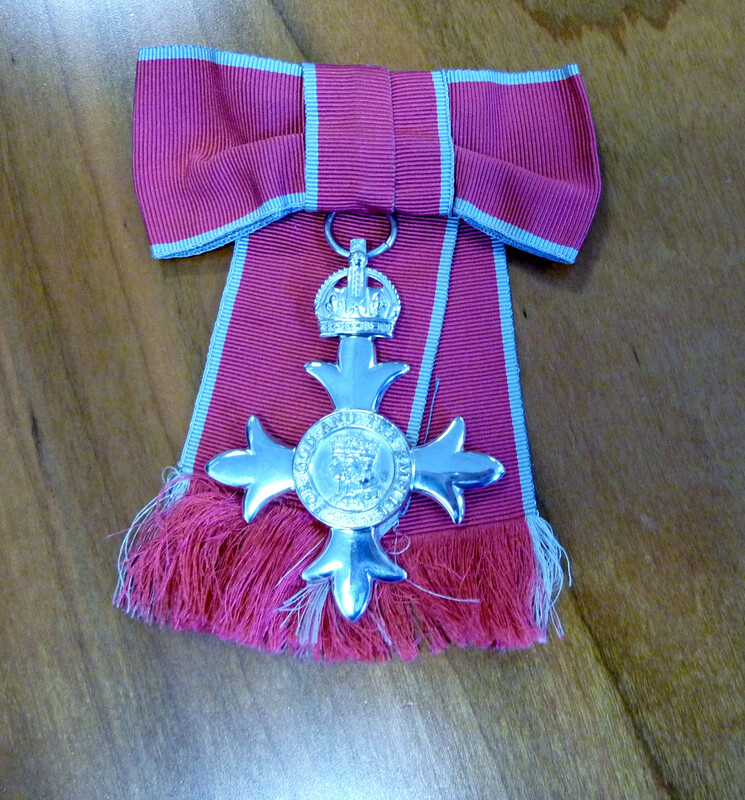 June 2013 NEWS from Ruby Porter MBE. 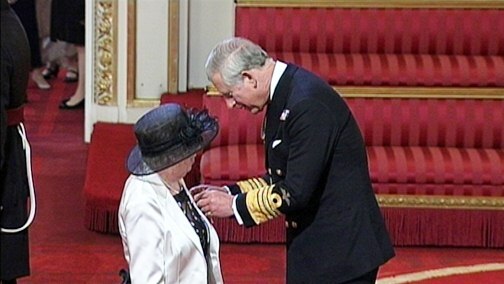 April 2013 NEWS from Ruby Porter MBE. Some of the staff from Sreepur have been helping with the tragic event of the collapsed building in Dhaka, Bangladesh. They have made large banners to place around the area to show the people where to go to collect the dead bodies from a school in the area. The Sreepur Women’s Refuge and Orphanage have also said they will take any mothers and children to Sreepur, and have set up a rehabilitation centre close by. 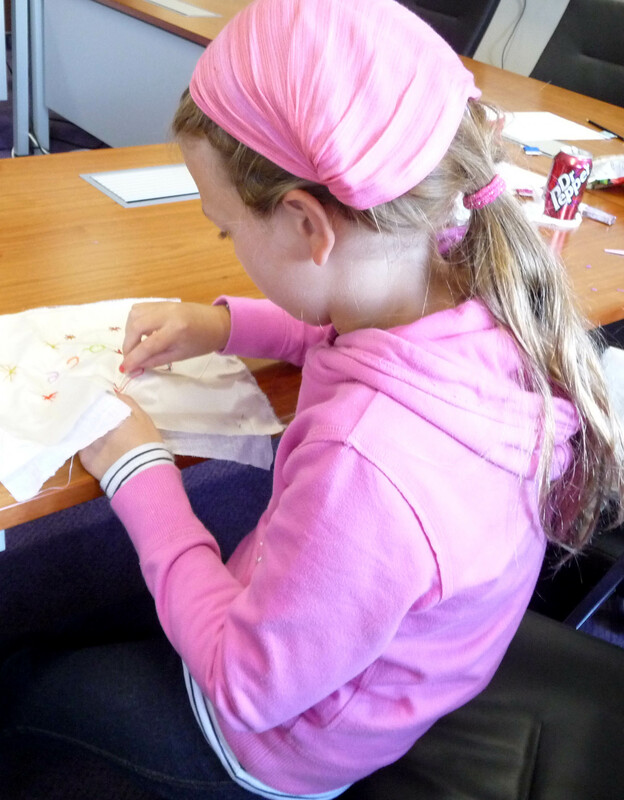 Ruby has been to Scotland recently and attended the EG Regional Day in Dundee, as well as events in Aberdeen.She raised over £2000 for Sreepur during the trip. 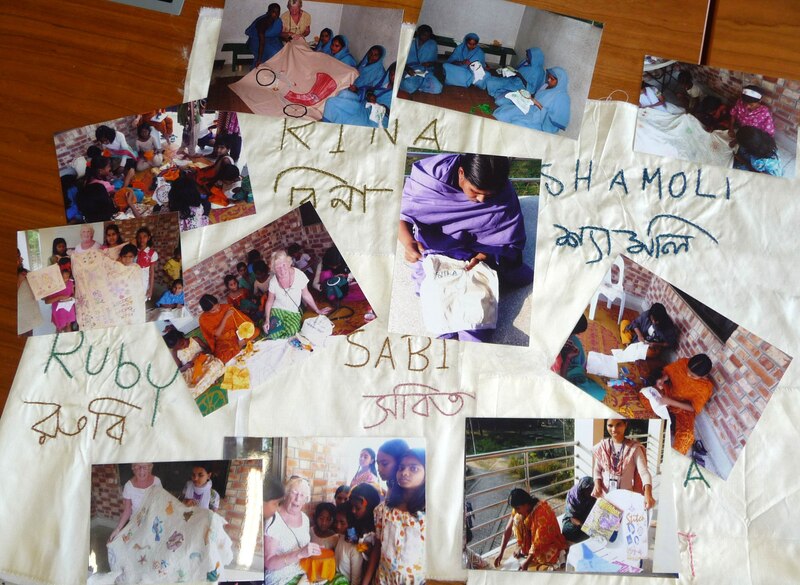 Have a look at SREEPUR REFUGE – FEB 2013 PAGE to see some wonderful photos of Ruby’s recent visit to Bangladesh. 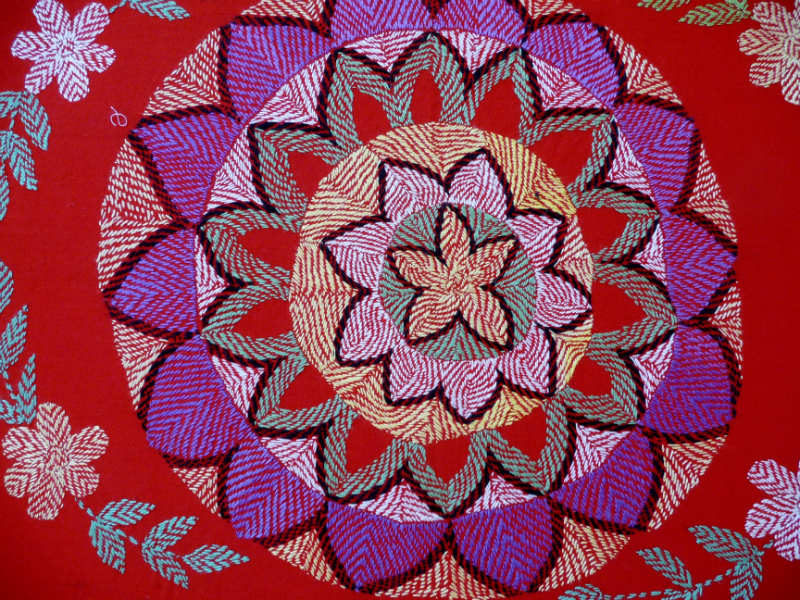 From 16th April – 30th July 2013 you can see a wonderful exhibition of large, kantha quilts in Blackburn House, Blackburn Place, off Hope St, Liverpool L8 7PE. Have a look below to view some photographs taken at the exhibition. 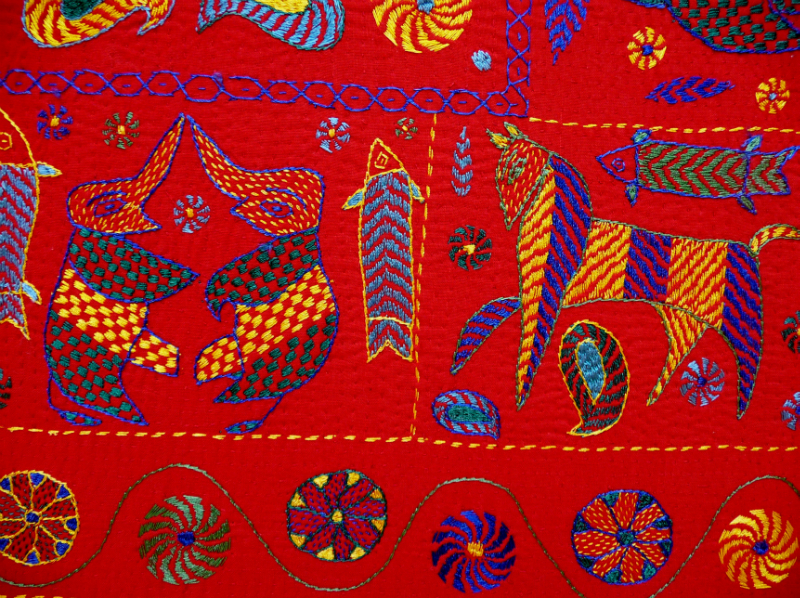 All the textiles in the exhibition are hand embroidered by the rural women in Bangladesh, and are from a private collection of Ruby Porter MBE. 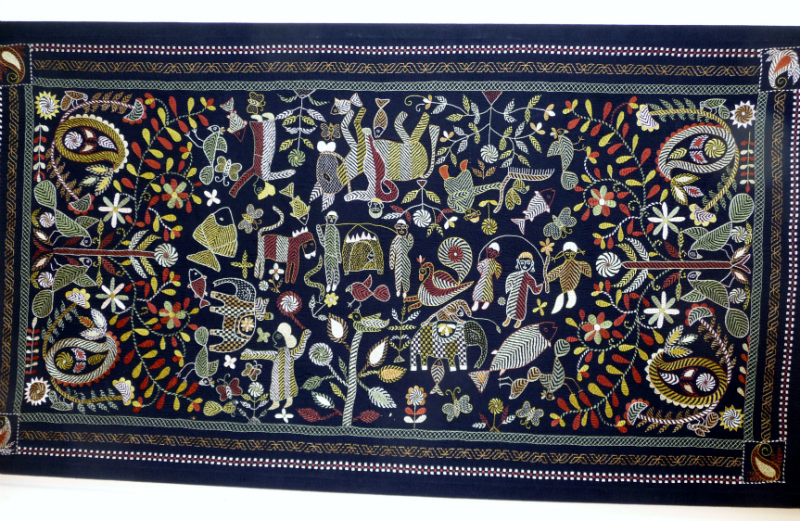 The story of the Kantha is rooted in the history, culture and civilization of Bangladesh. 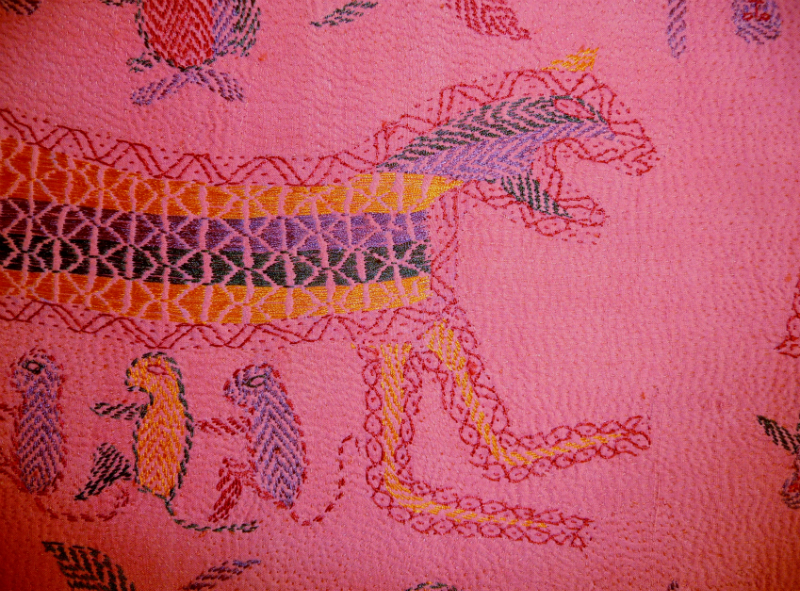 Unrecognised till the 1920’s by the outside world, as one of the world’s unique art-craft, the Kantha of East Bengal (now Bangladesh), have been given their rightful place only in recent times. 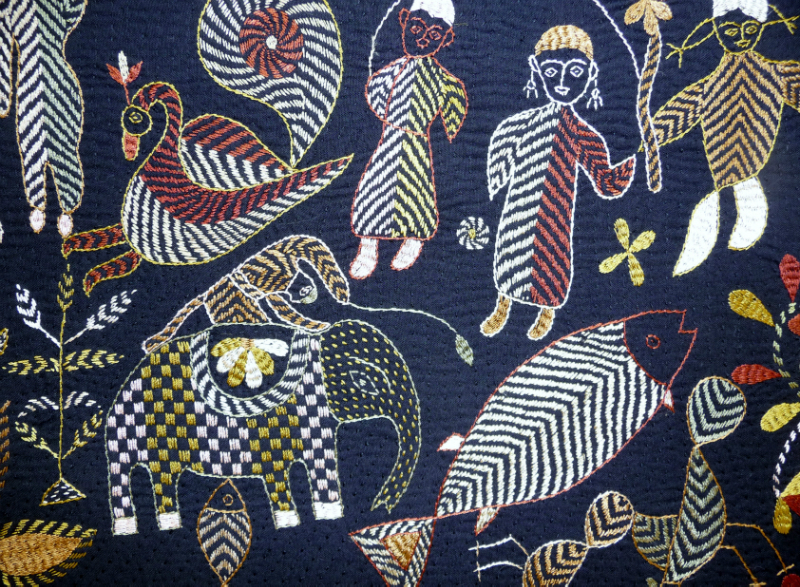 It is true that the Kantha and Kantha-making were never dead. 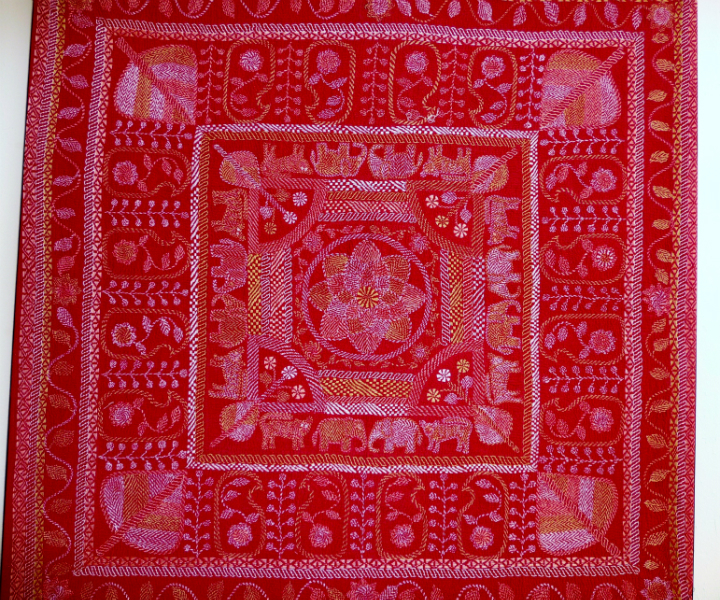 All the poor women in the villages and towns of Bangladesh continue to stitch Kanthas as women have done in the past – the putting together of old saris and lungis when their initial purpose has been served and the cloth becomes too frail and worn out through repeated washing to stand up to further wear. 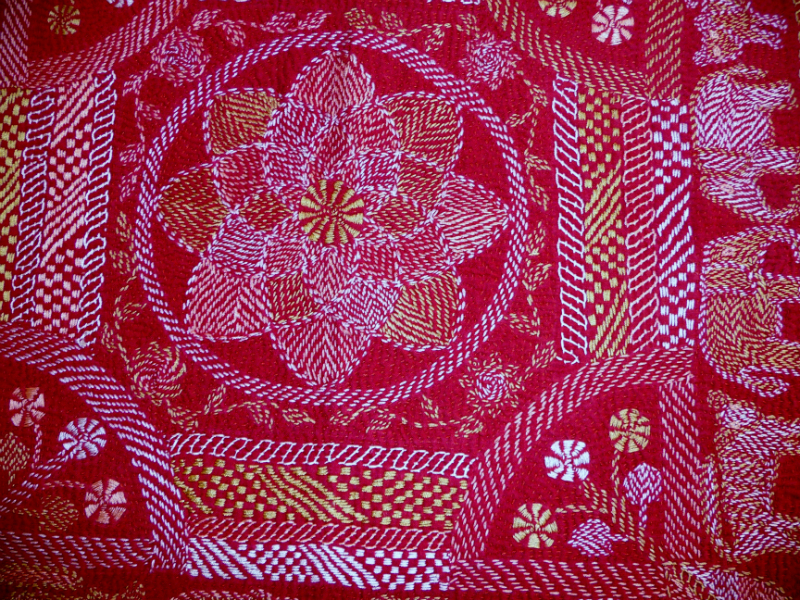 This is the latest Kantha Quilt which will be raffled with all the proceeds going to Sreepur Orphanage and Women’s Refuge, Bangladesh. The quilt is pure silk and is hand embroidered, and raffle tickets will be available at all the events at which Ruby has a presence. 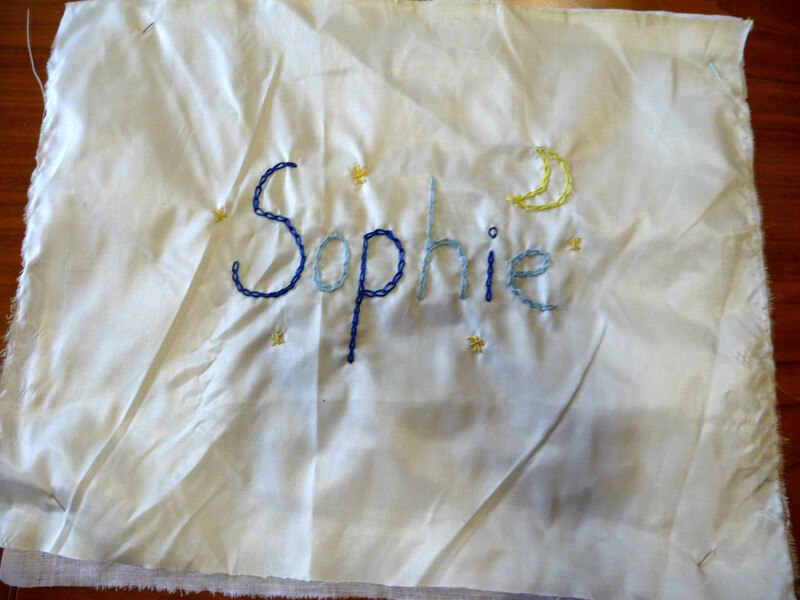 Ruby has just completed a successful two weeks with her “Threading Dreams” embroidery exhibition, which has been held in Liverpool Anglican Cathedral, Liverpool. 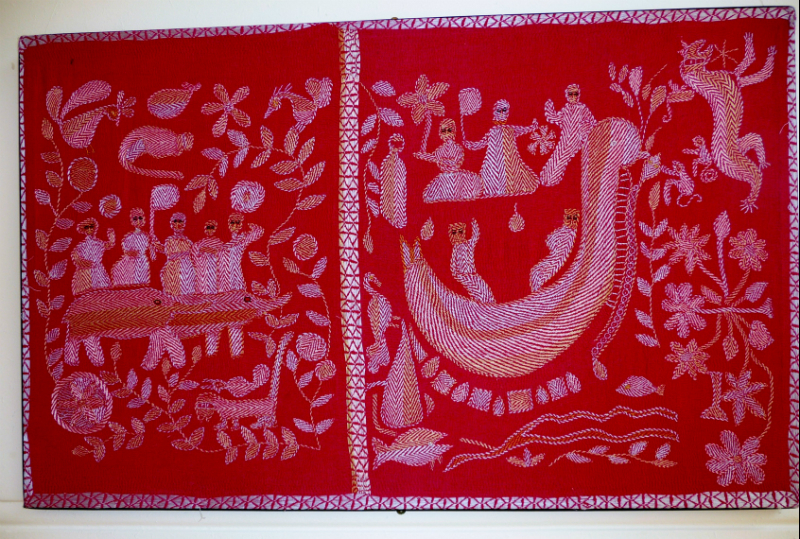 The exhibition showed a wide selection of the beautiful embroidery made by the women of Sreepur Refuge in Bangladesh. 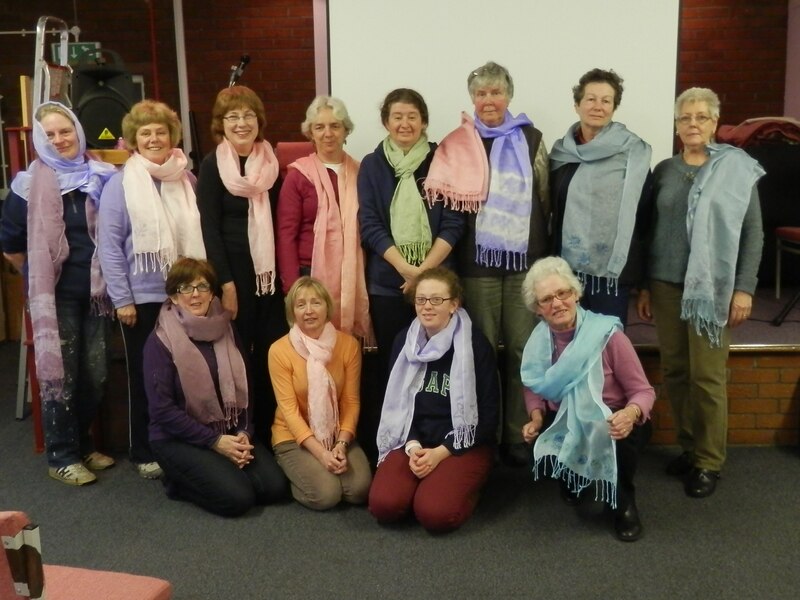 Of course Ruby was in attendance with her Sreepur stall selling scarves, bags and cards made by the women to raise funds to continue the work in Bangladesh. 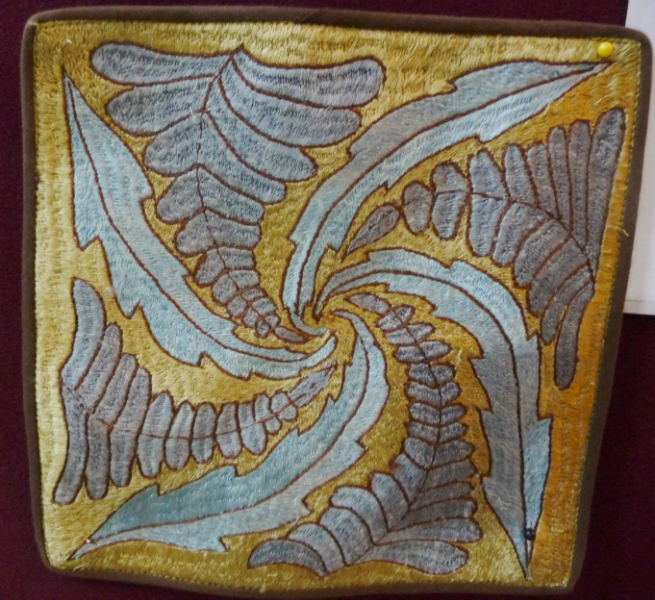 Below is a small selection of the work which was on display. 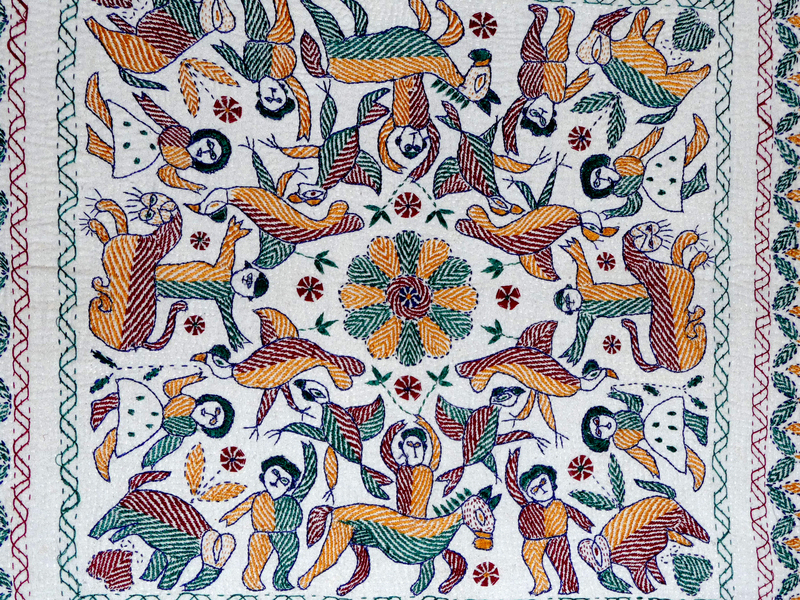 Sales of Sreepur products totalled £1054 at the end of this exhibition. Thanks go to the many people who added their support to a worthwhile cause. 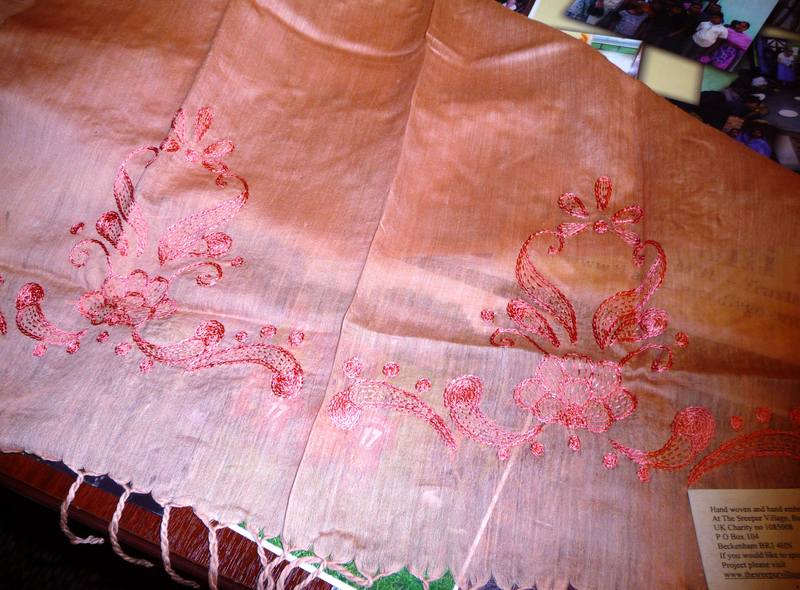 at Sreepur may like to see how their scarves ended up and if you could let themknow what great fun we had. 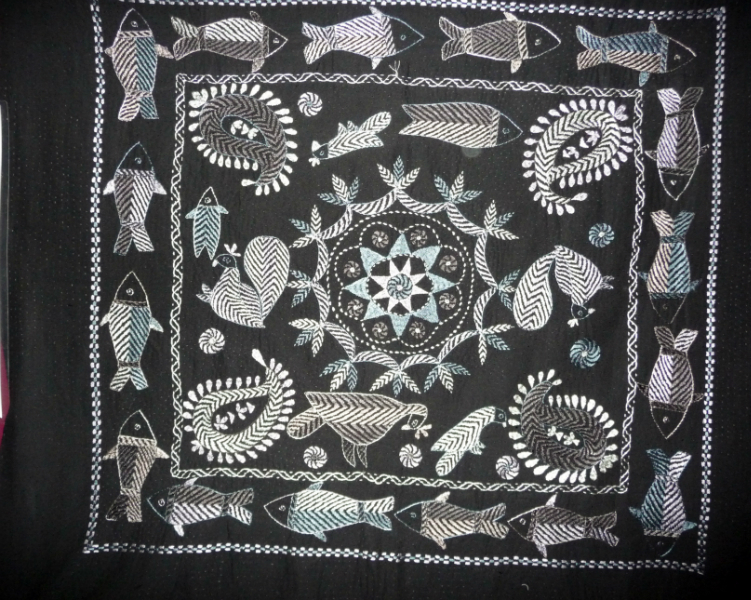 We sold all 30 scarves and some of the cards and bracelets. 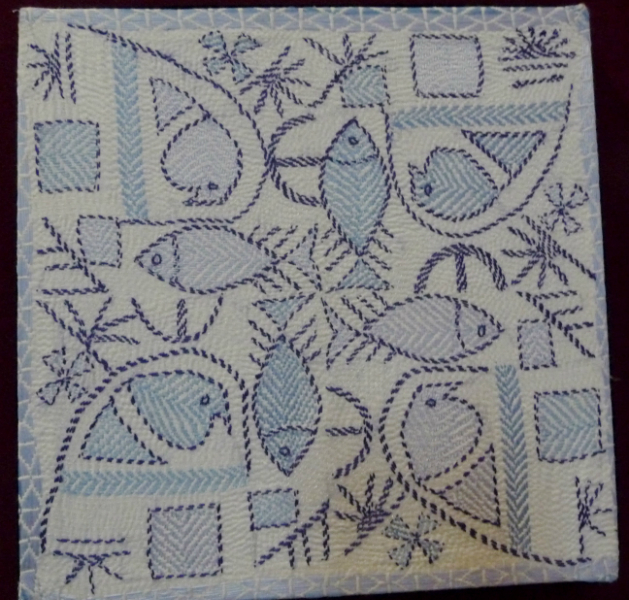 I have £255 from the day for you but I will try to sell the rest of the cards this week, there are other stitching groups on the Island who may like them so I will wait until the end of the week to send the money over to you”. Sreepur scarves dyed and printed by members of Isle of Mann E.G. 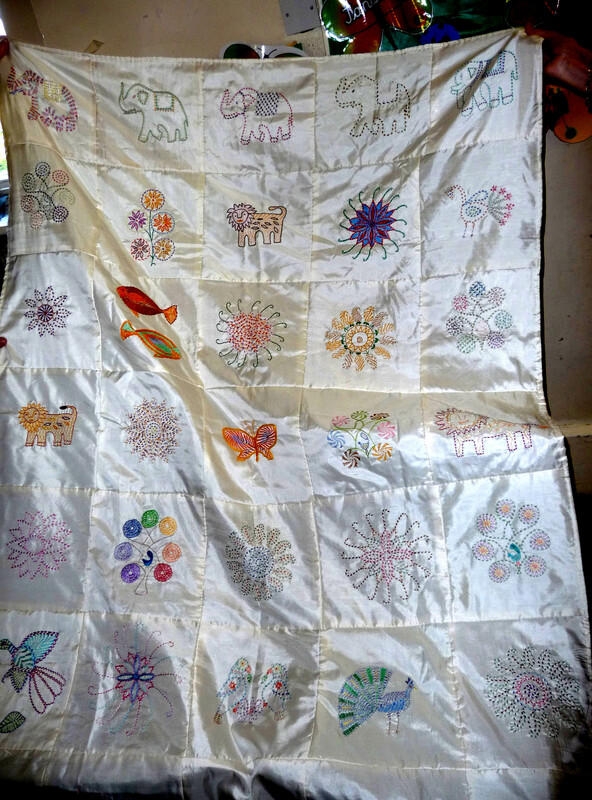 Ruby has sent us photographs of some of some splendid Kantha quilts made by the young women in Sreepur Women’s Refuge which have found a home in Liverpool. 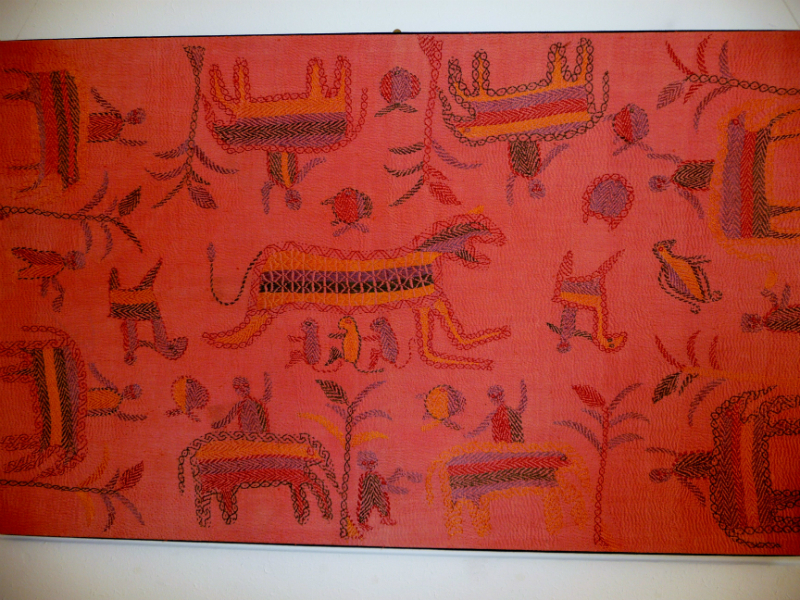 Firstly we have a wall hanging which is now in St. Patrick’s School, Liverpool 8. Also in the photograph is a picture of Ruby when she was a little girl – she went to this school. 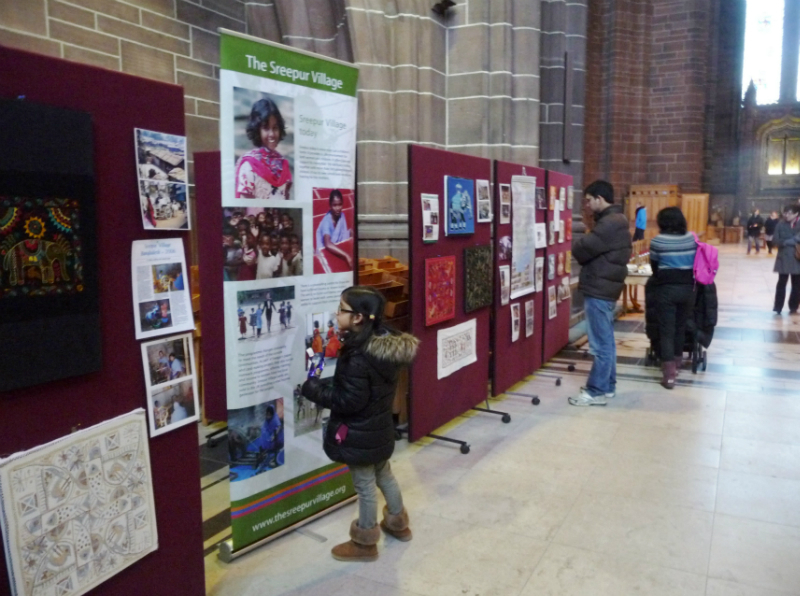 Lastly we have photographs of the Fish Hanging, which was a popular feature of Merseyside Embroiderers’ Guild recent WATER exhibition held at Liverpool Cathedral, and the most recent Kantha Quilt which was raffled and raised some much needed funds for Sreepur Orphanage and Refuge. 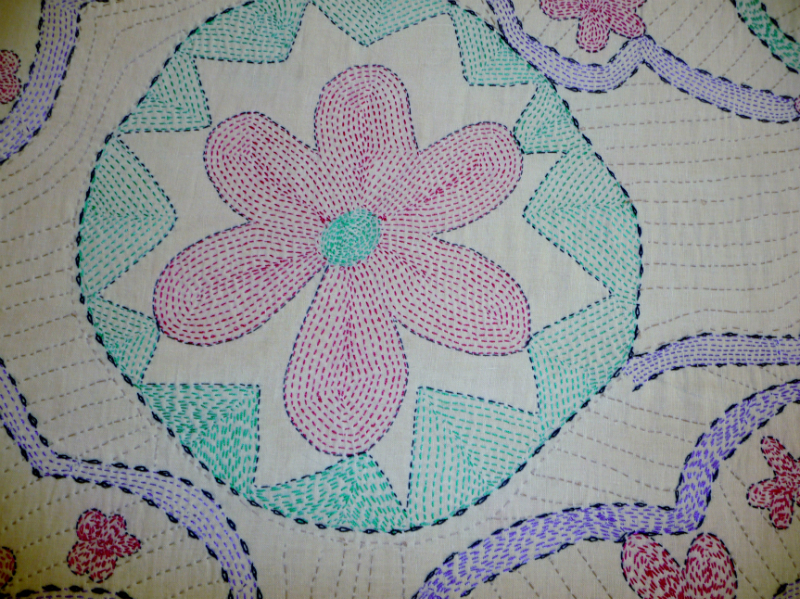 At the moment the latest quilt is being embroidered and will be raffled when complete. Watch out for further news. 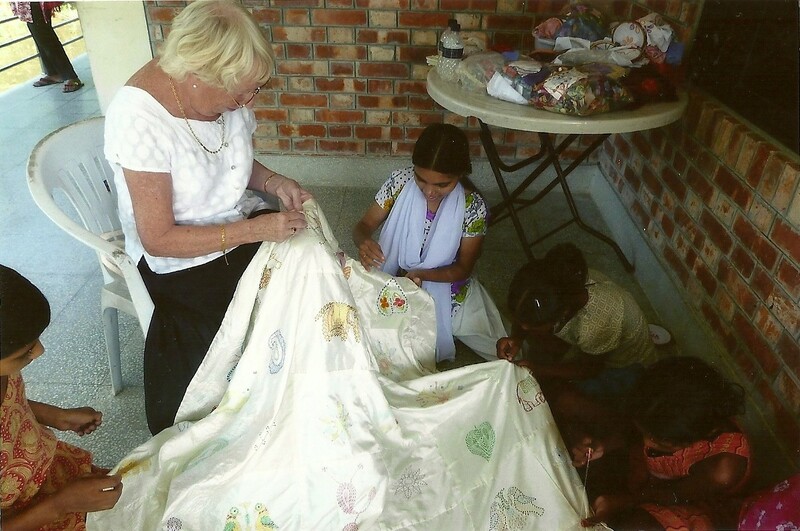 Ruby Porter, member of Merseyside embroiderers’ Guild was honoured in the New Year’s Honours List 2011 when she was awarded an MBE for her work at the Sree Pur Orphanage and Women’s refuge in Bangladesh. 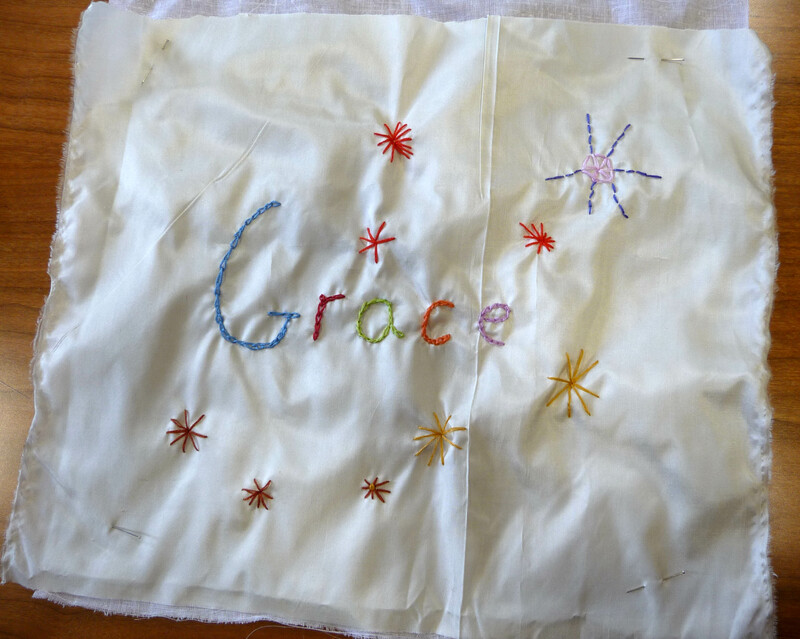 She has been visiting the Orphanage for 21 years and working there teaching embroidery skills. 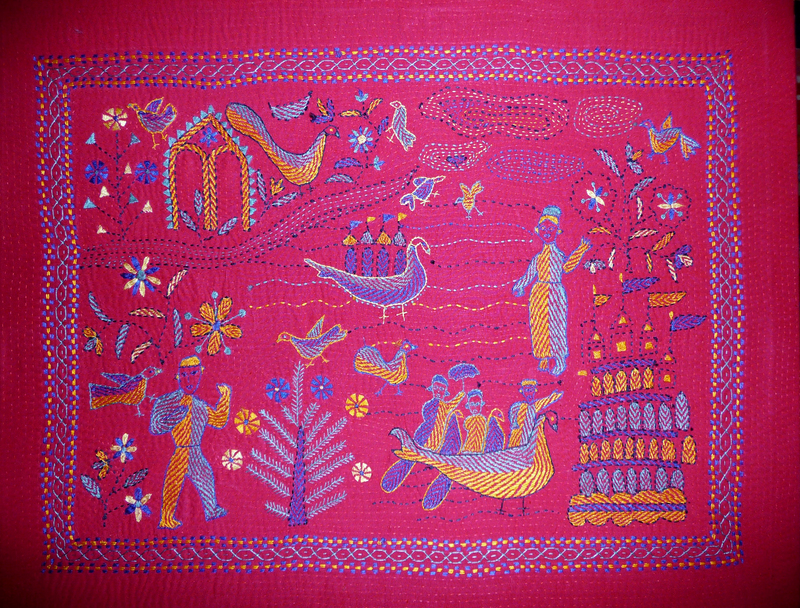 She brings the completed work back to England to sell for funds, along with her other fund raising projects.